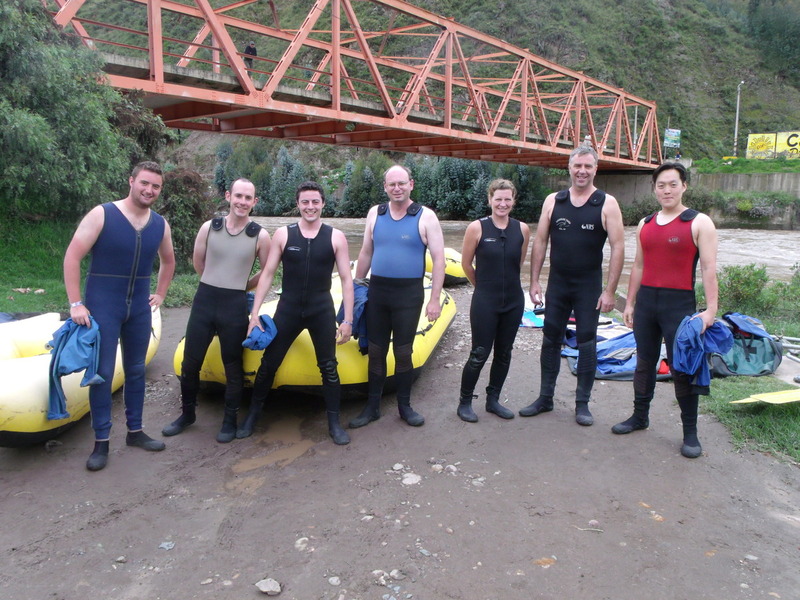 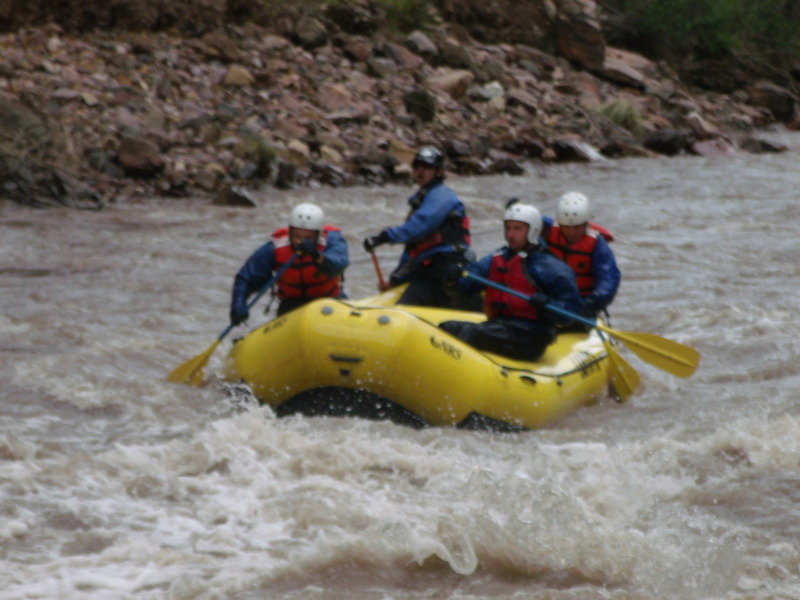 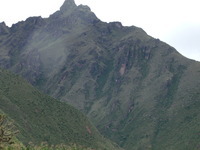 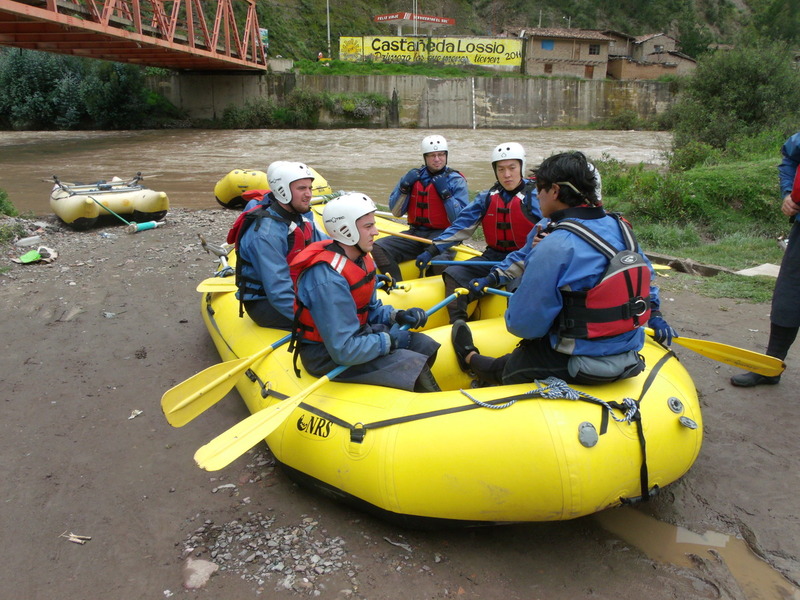 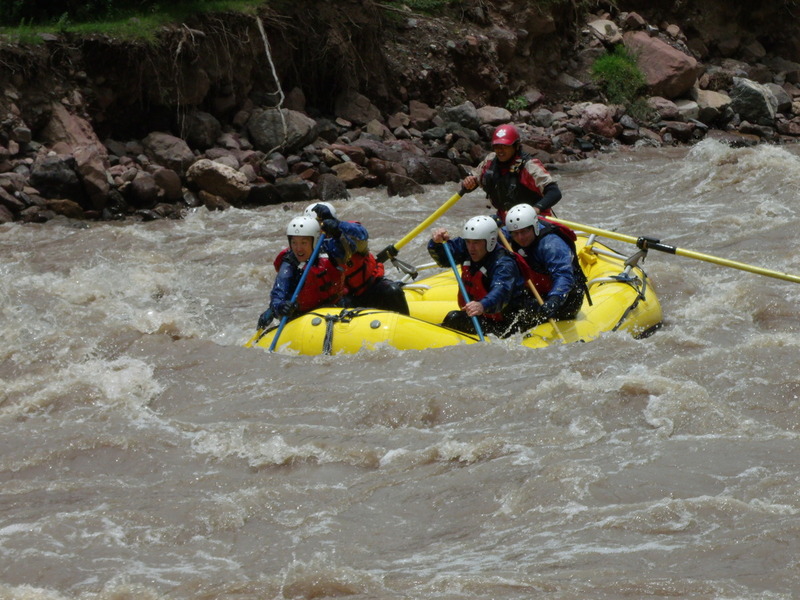 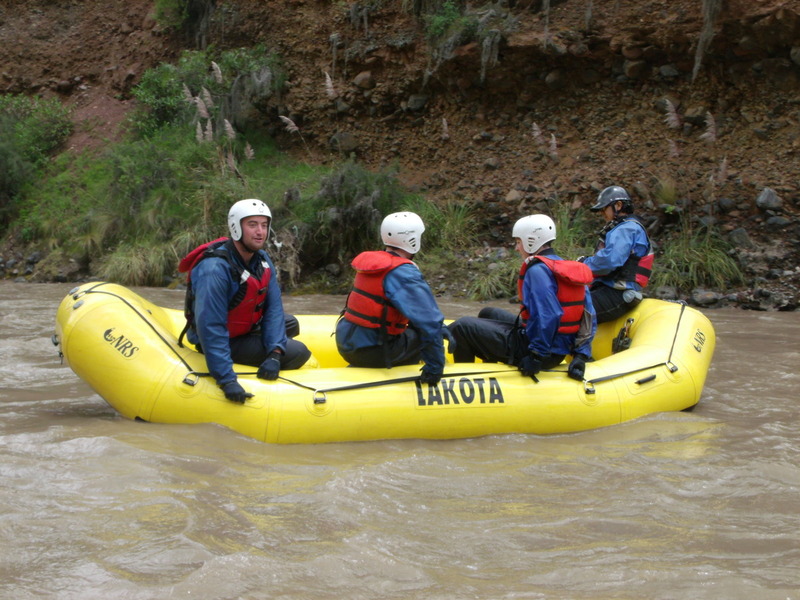 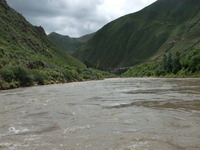 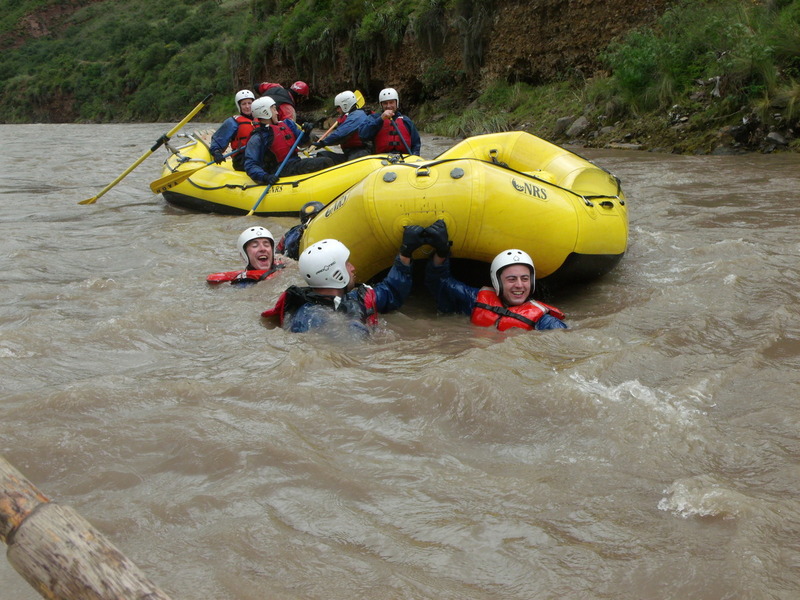 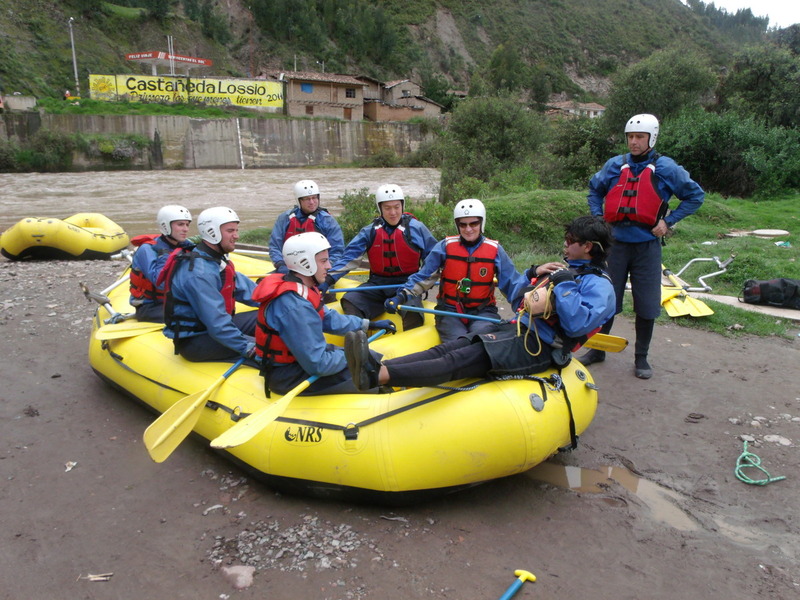 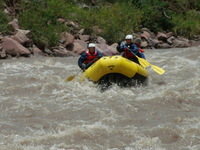 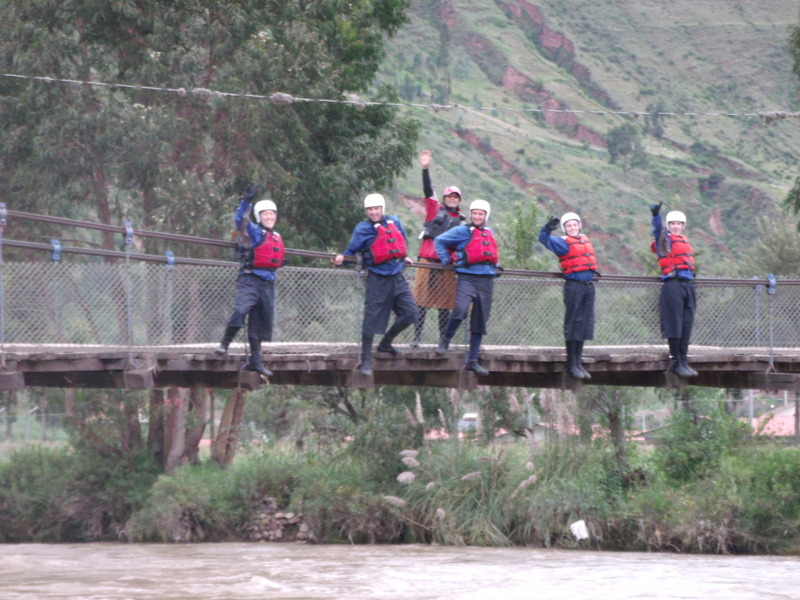 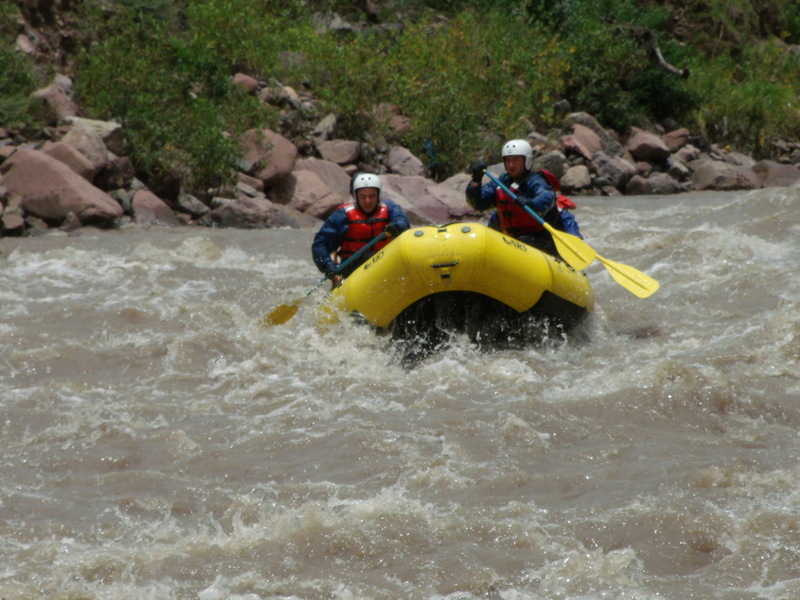 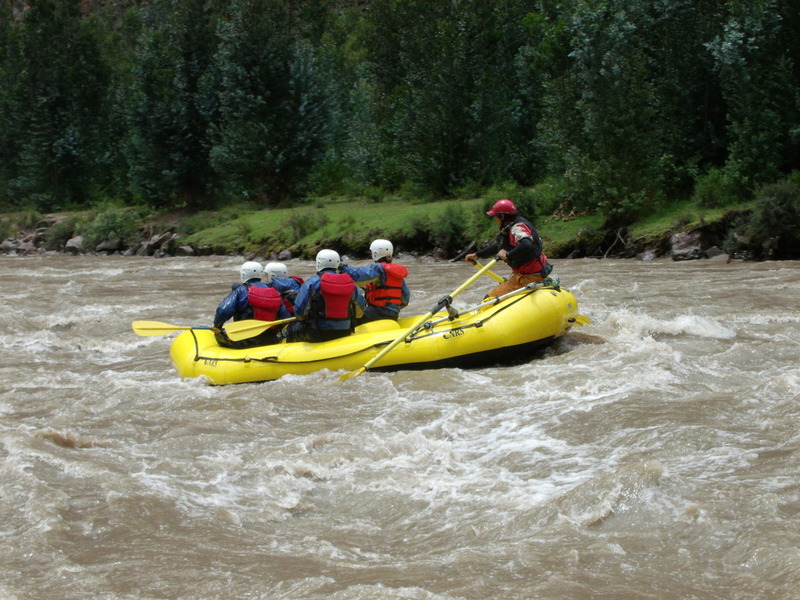 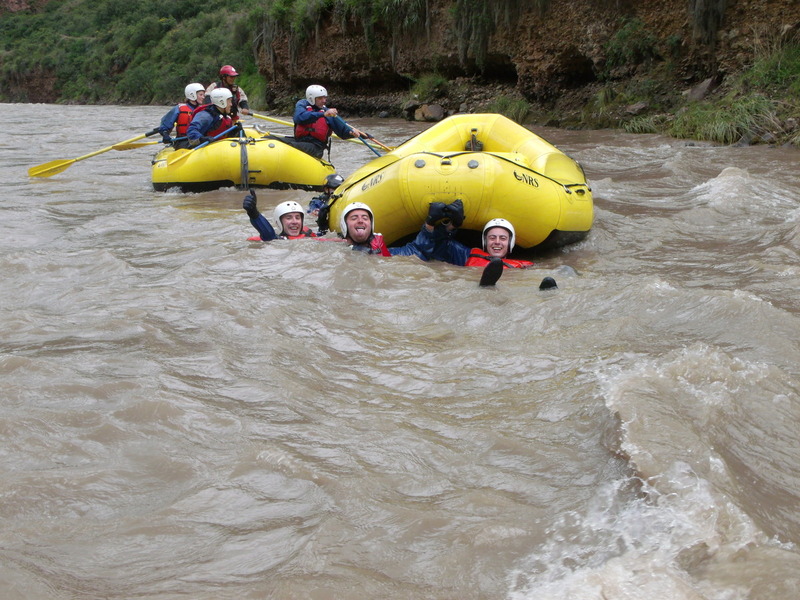 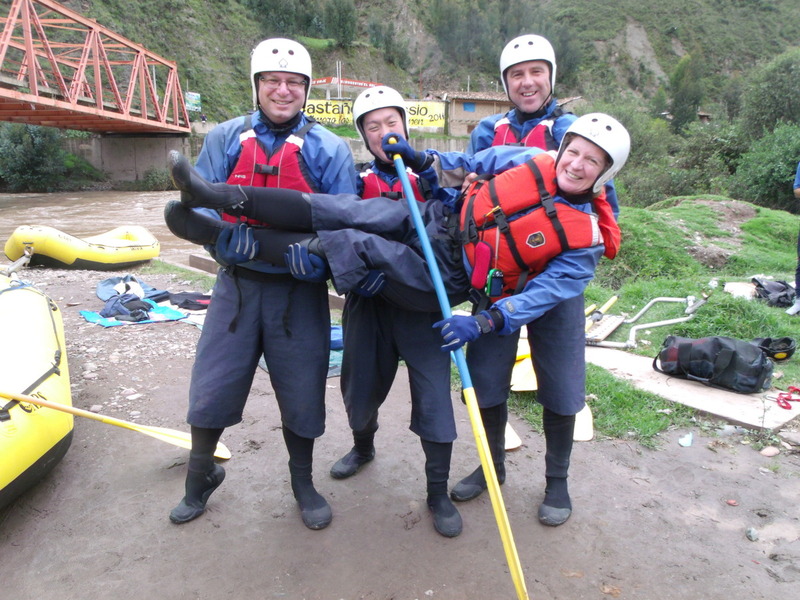 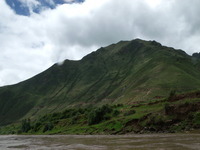 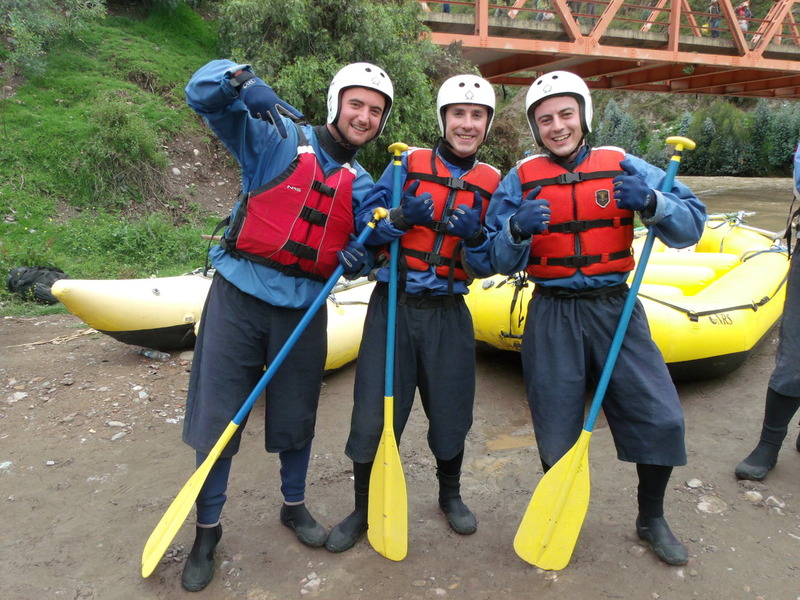 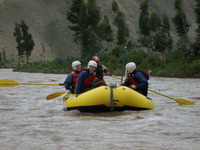 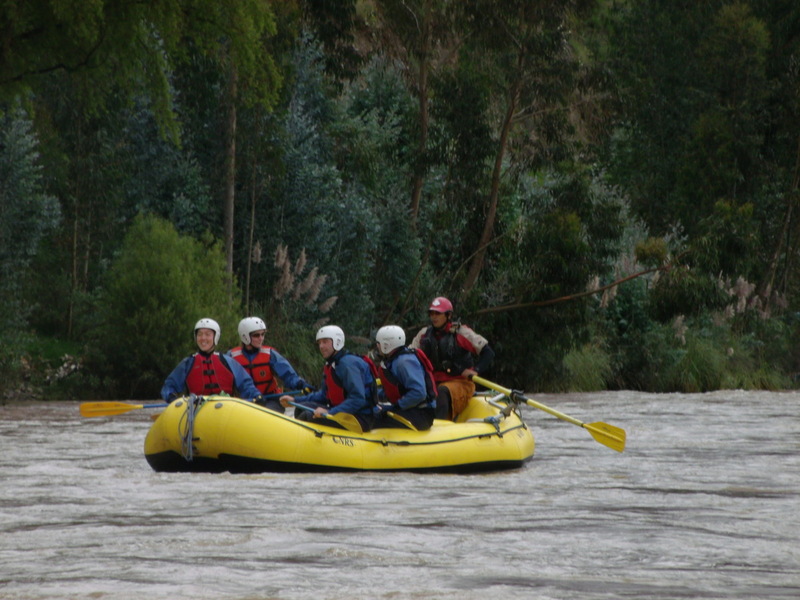 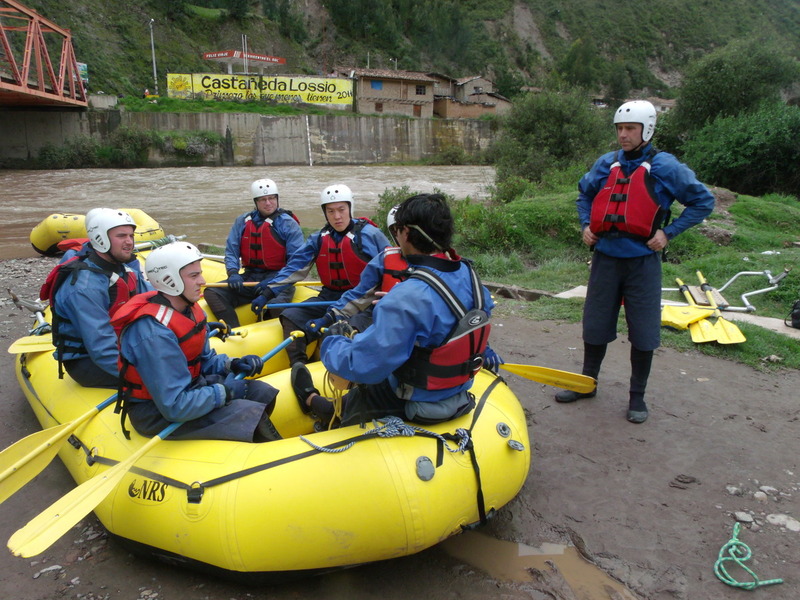 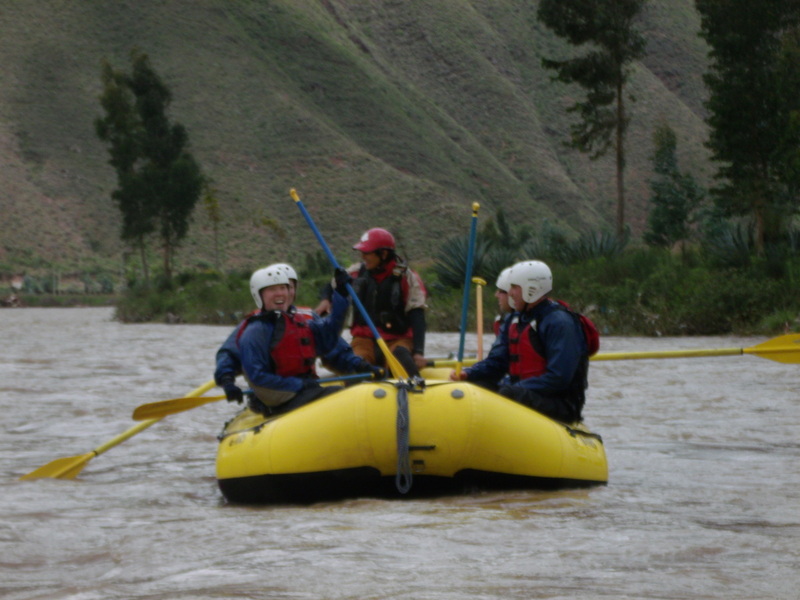 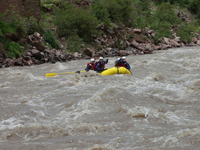 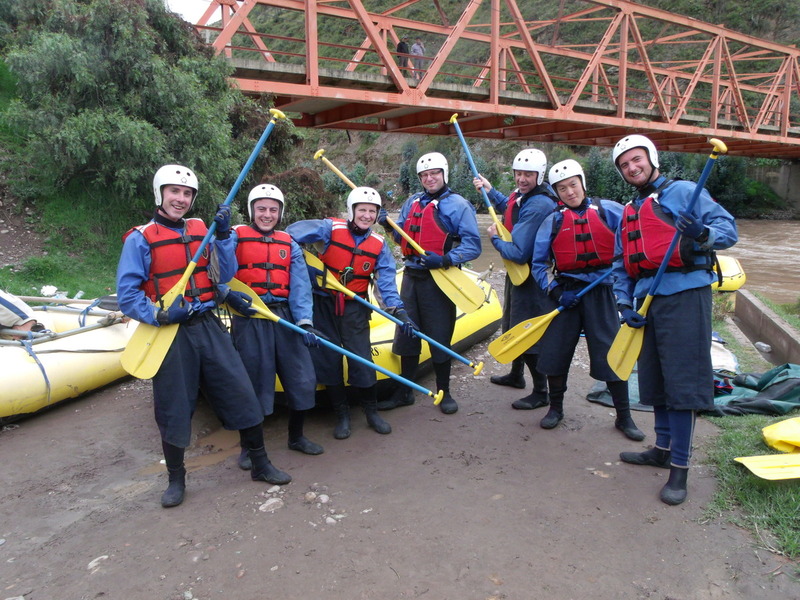 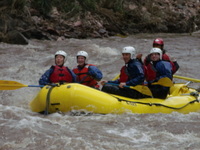 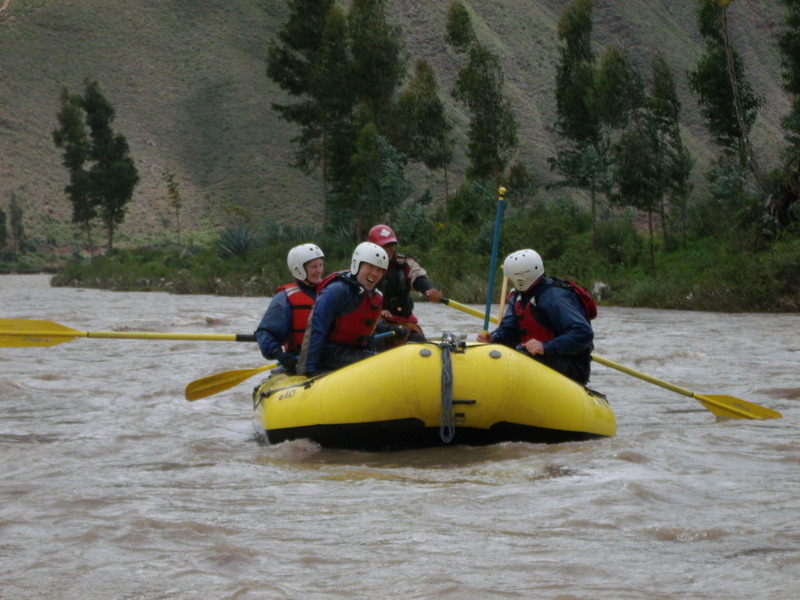 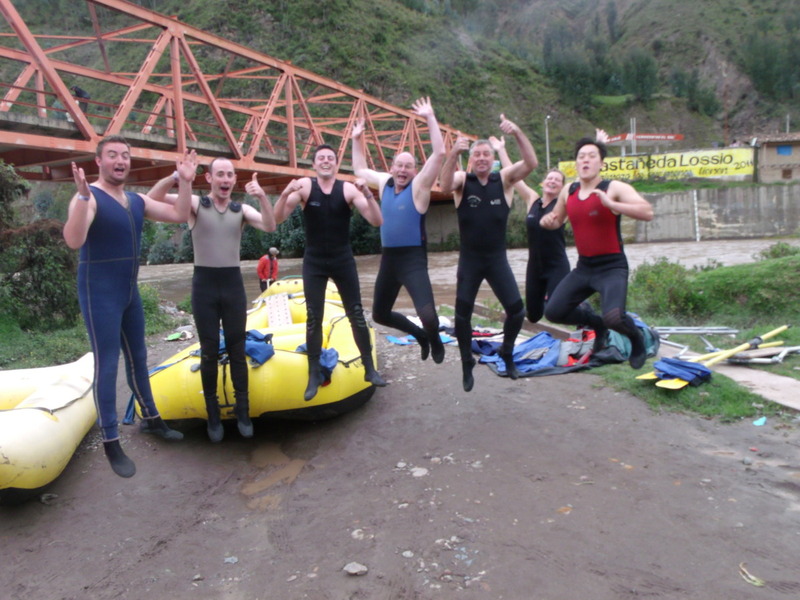 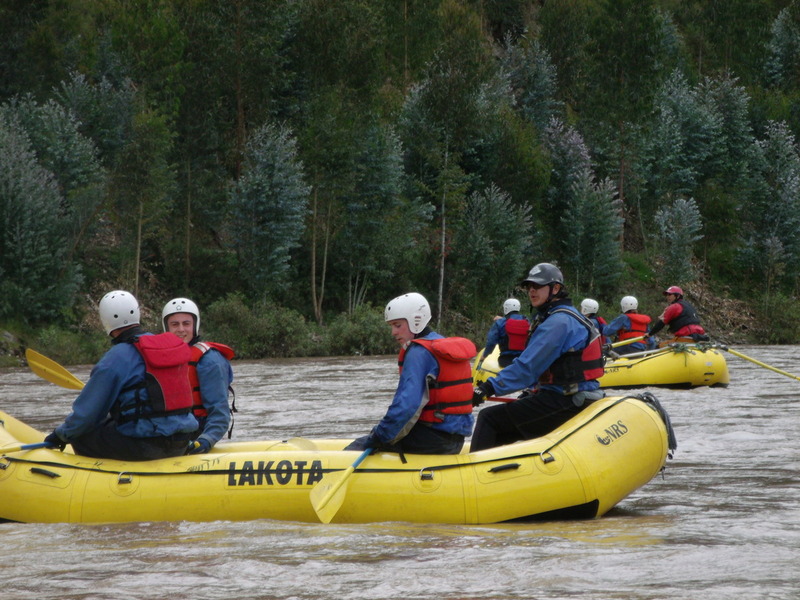 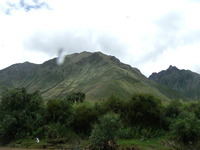 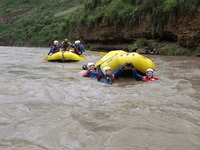 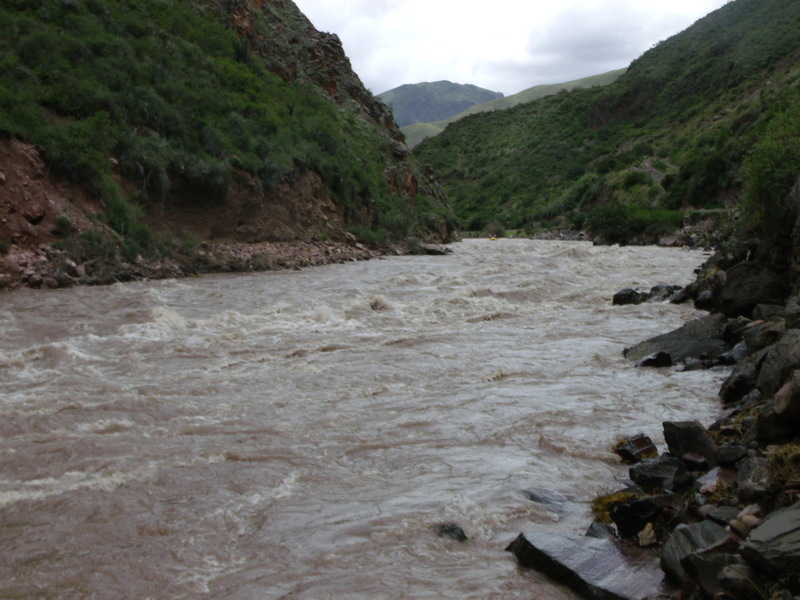 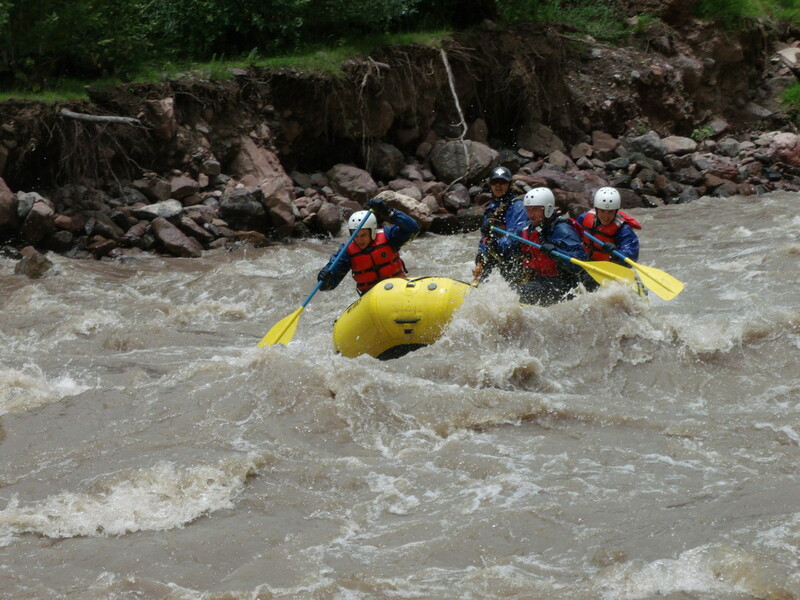 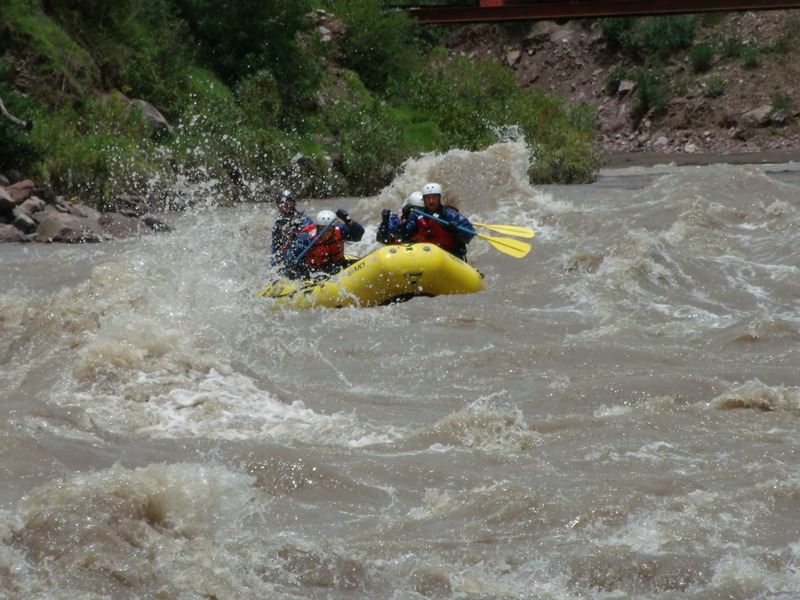 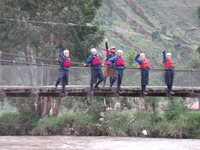 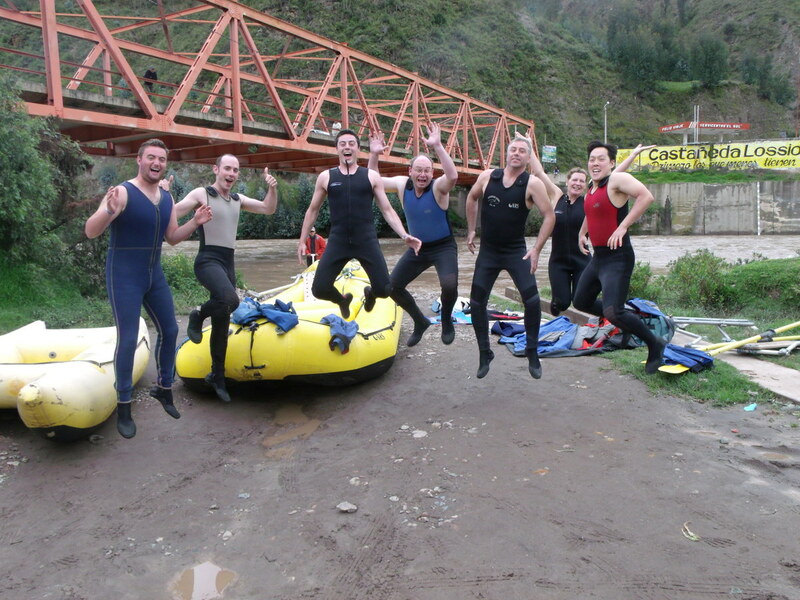 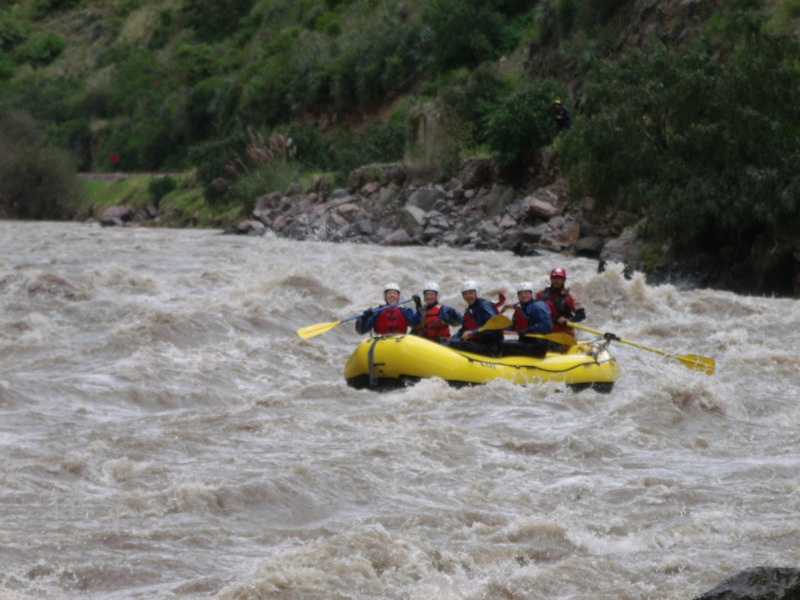 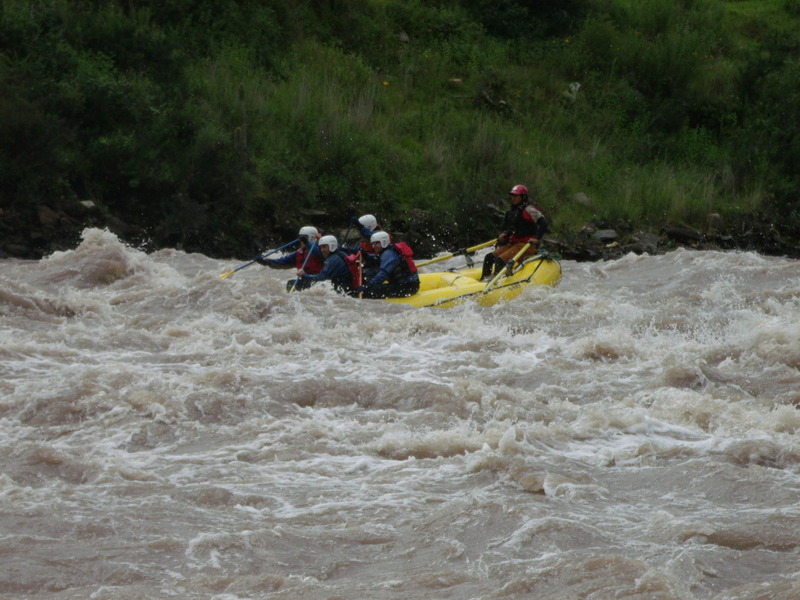 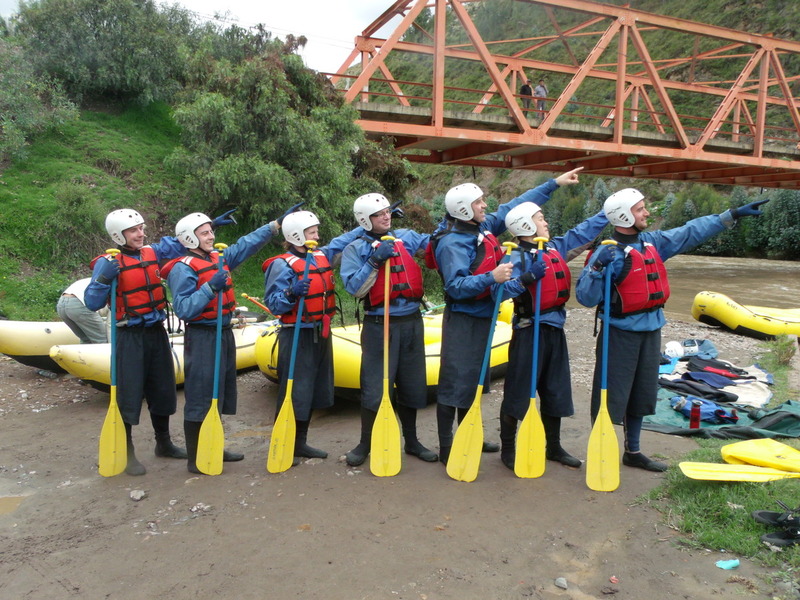 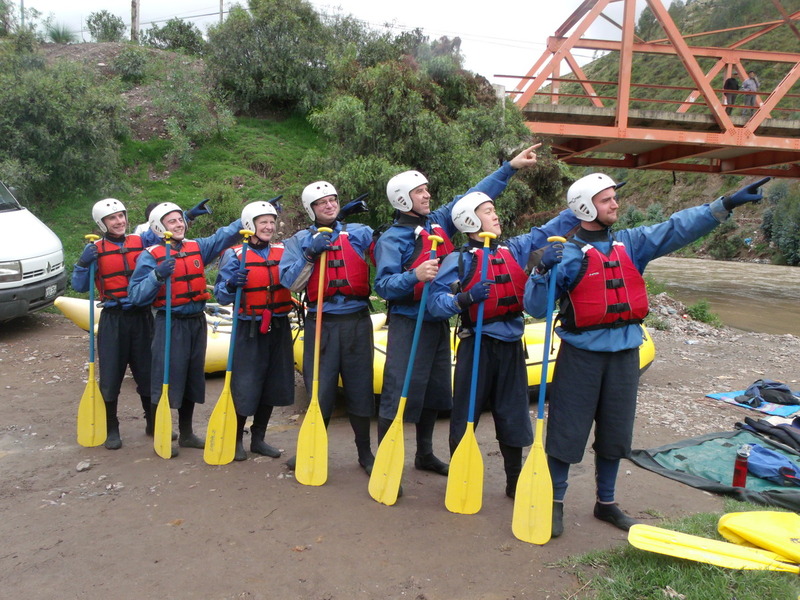 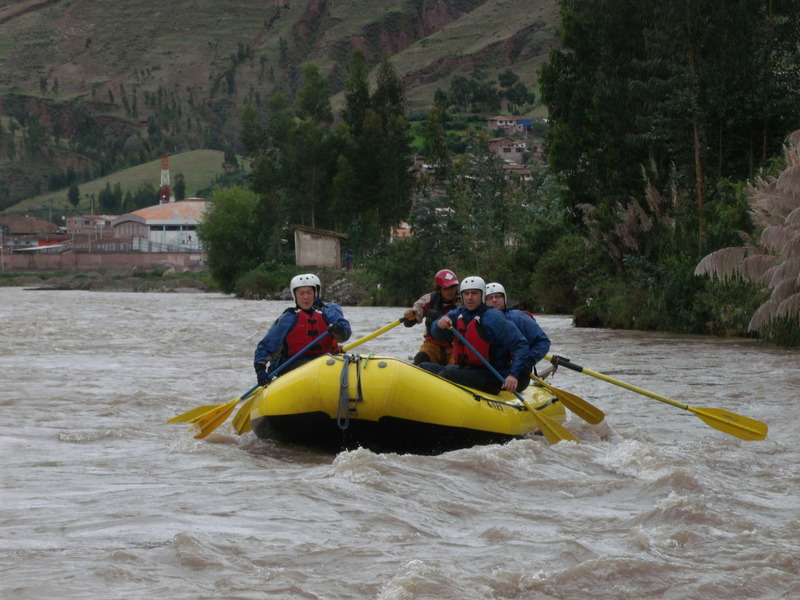 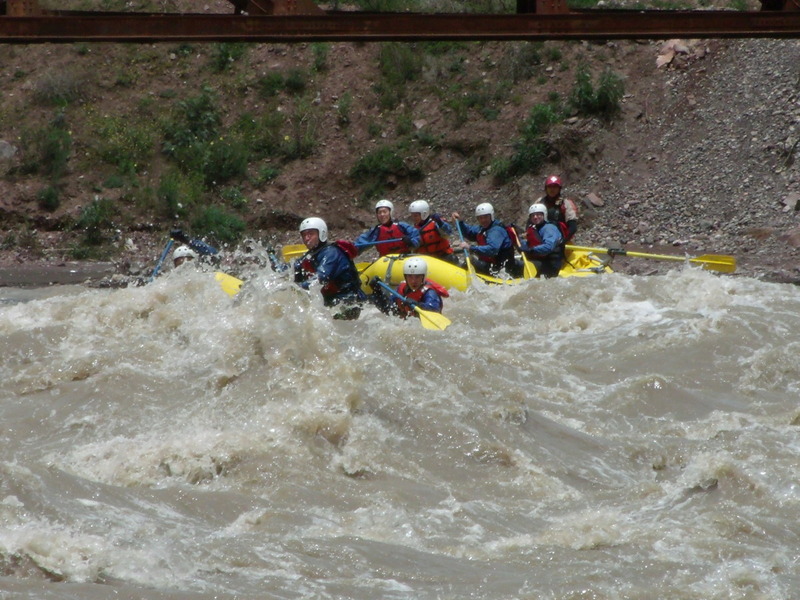 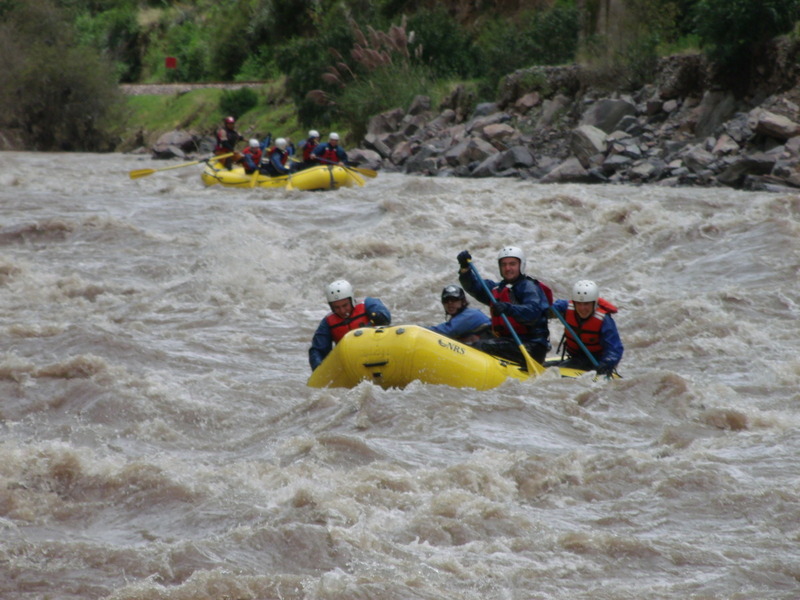 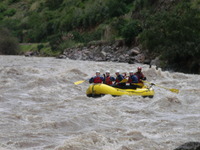 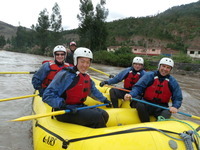 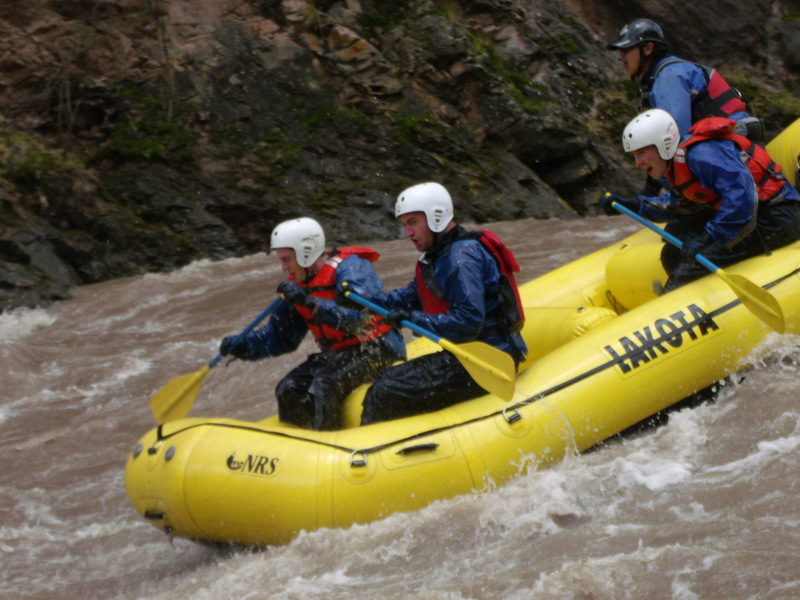 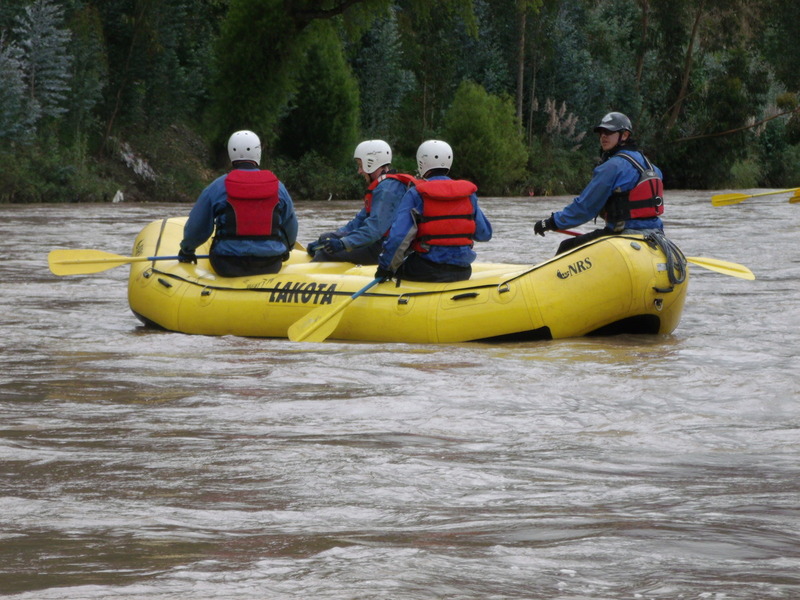 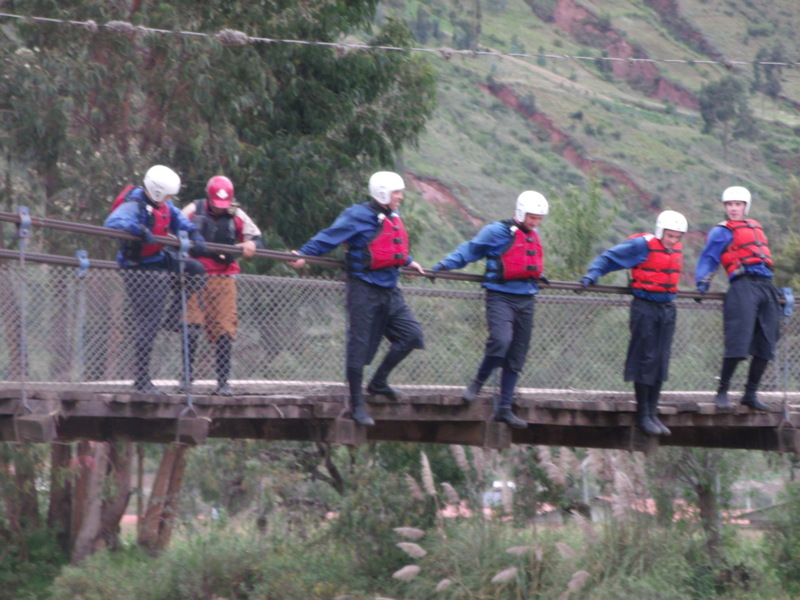 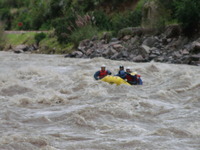 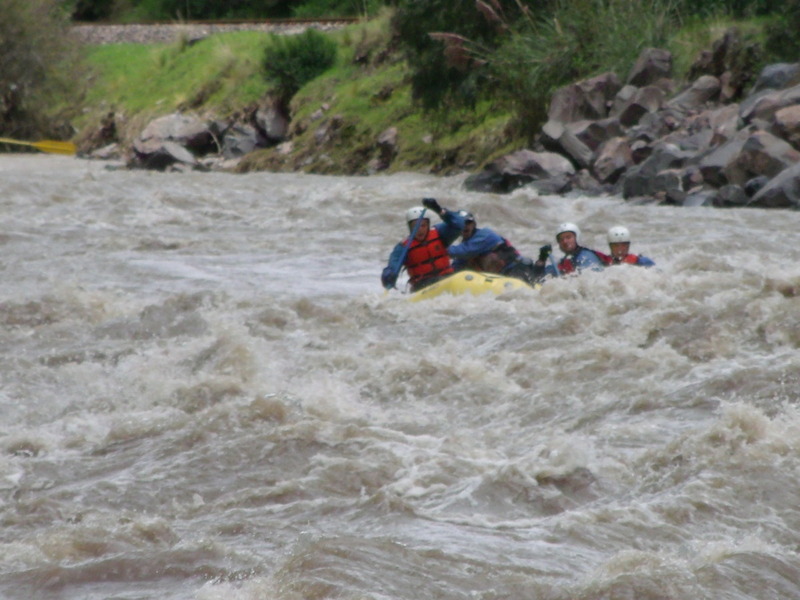 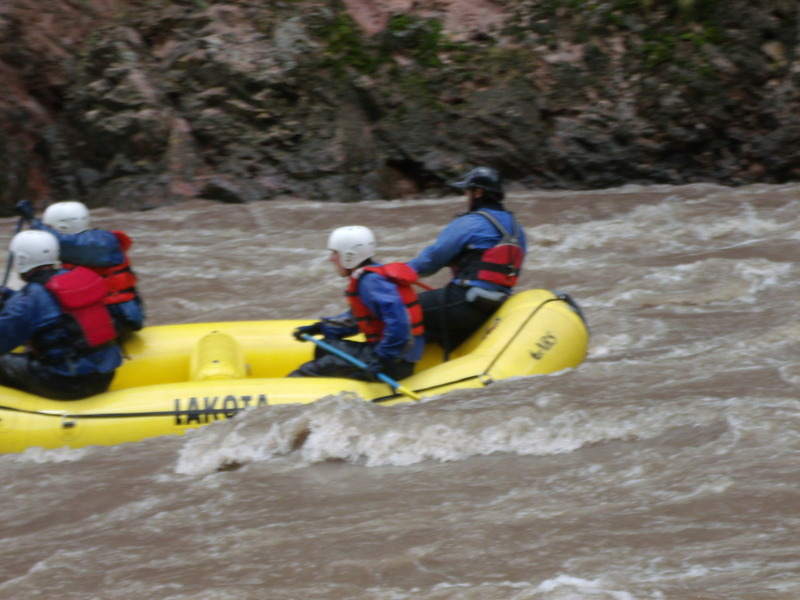 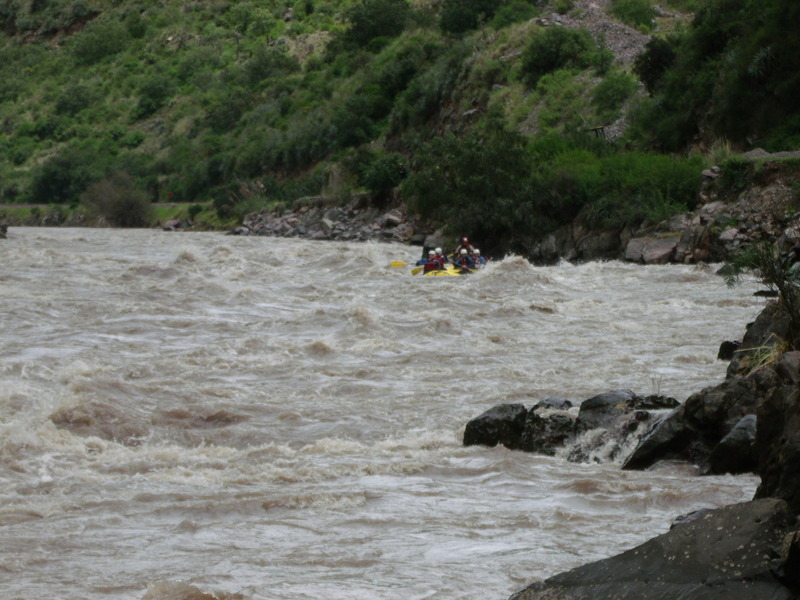 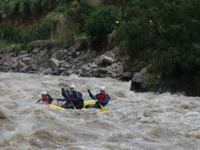 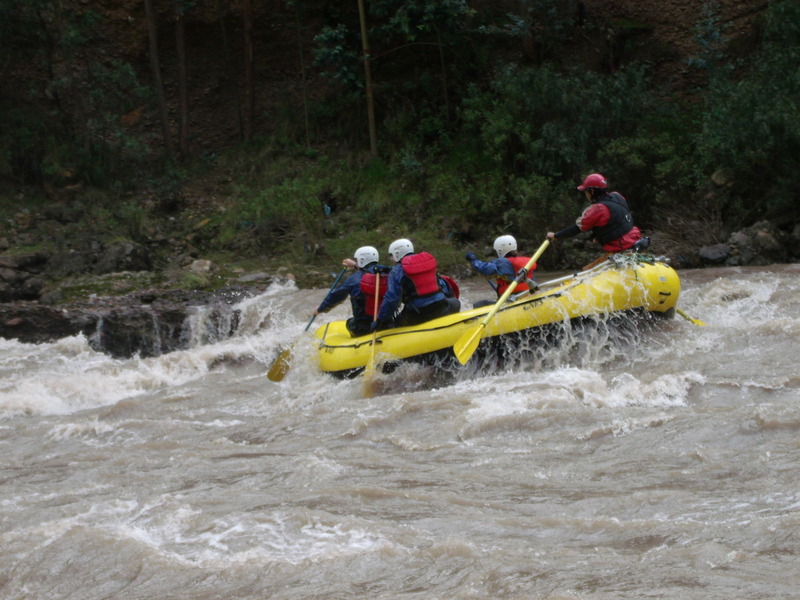 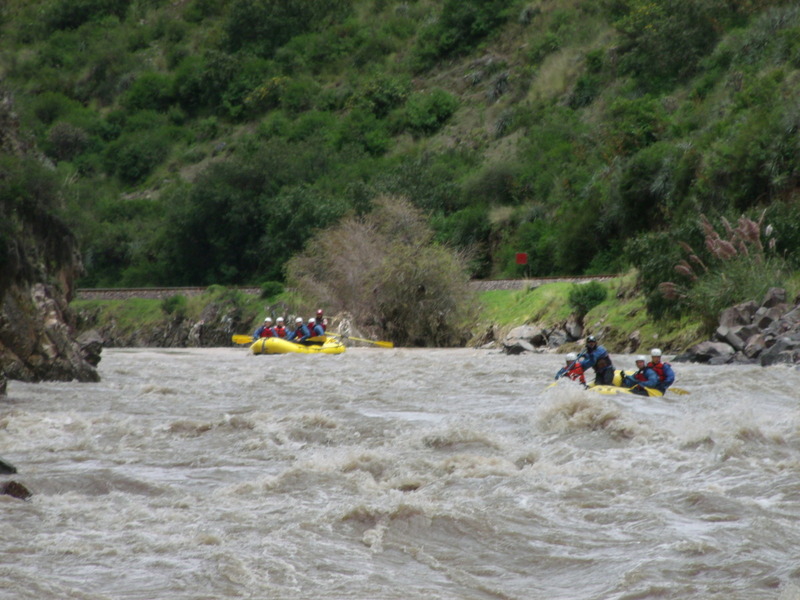 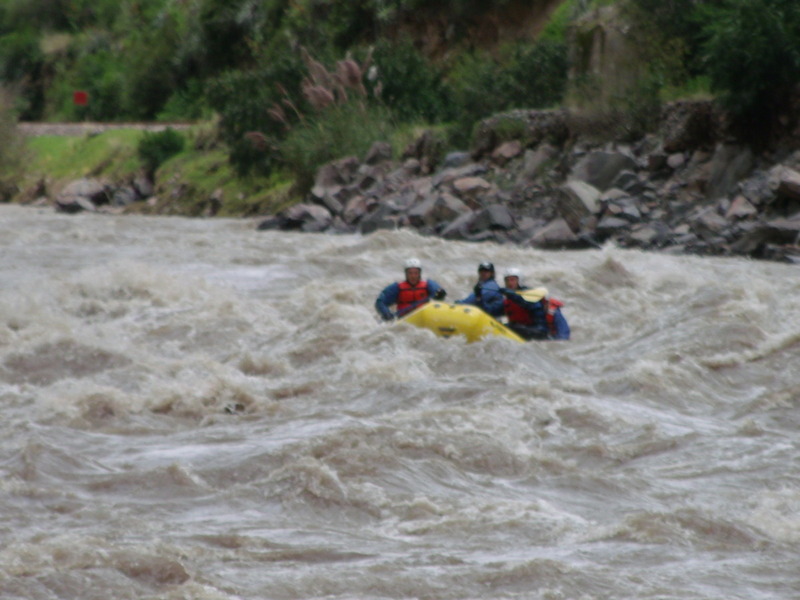 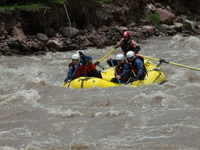 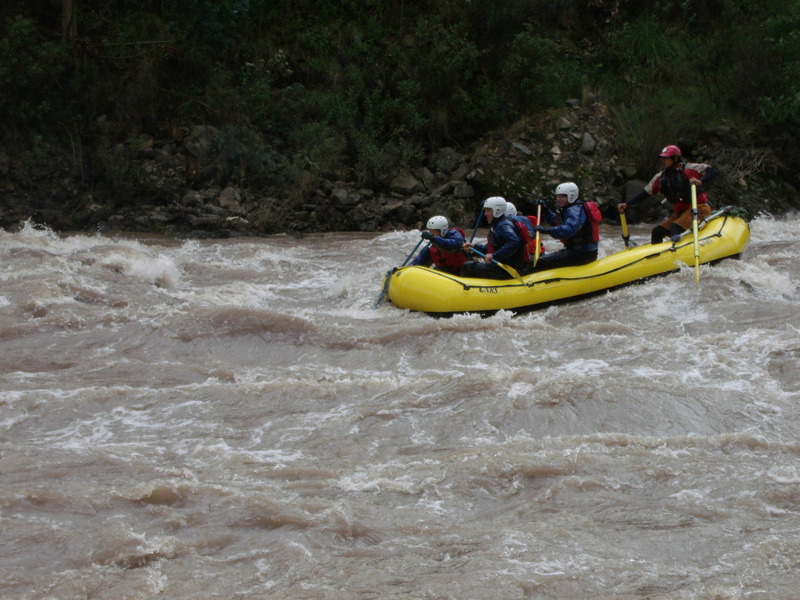 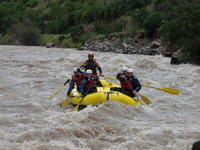 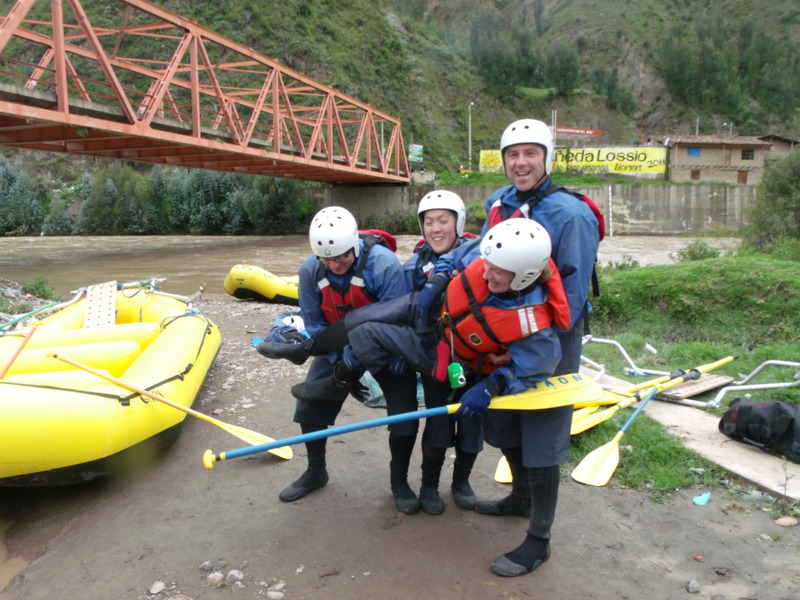 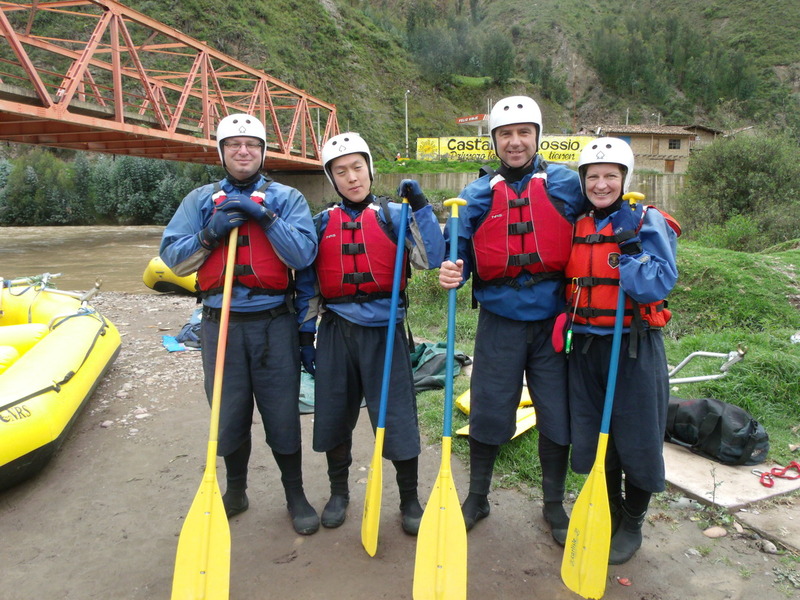 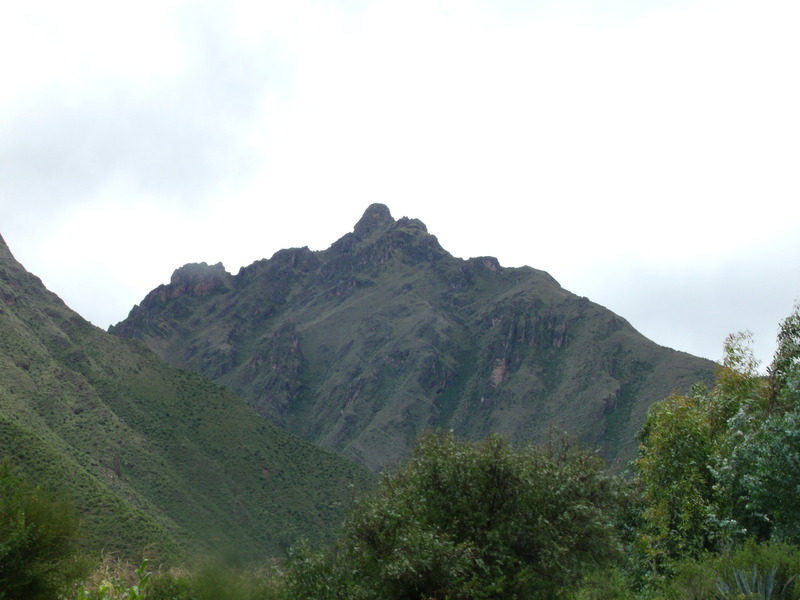 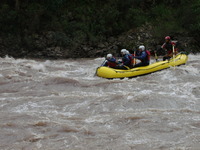 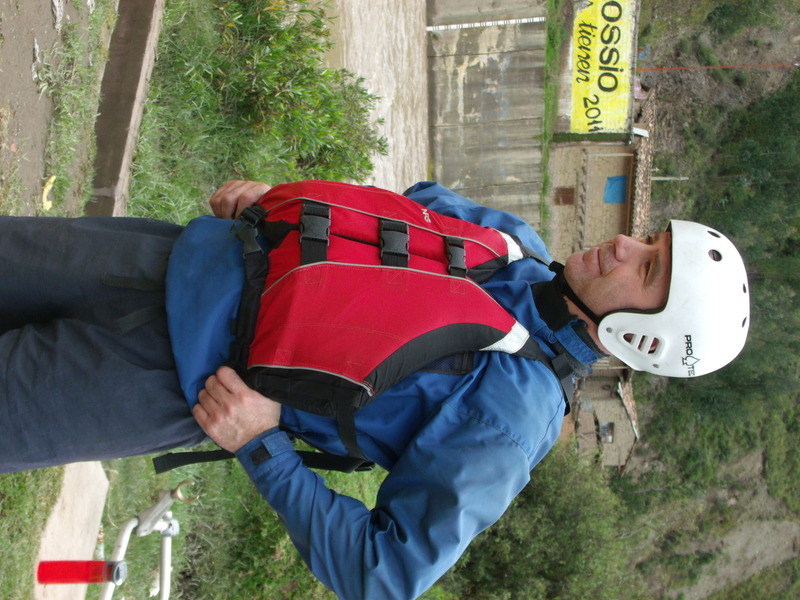 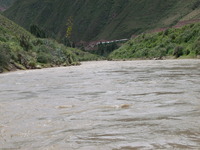 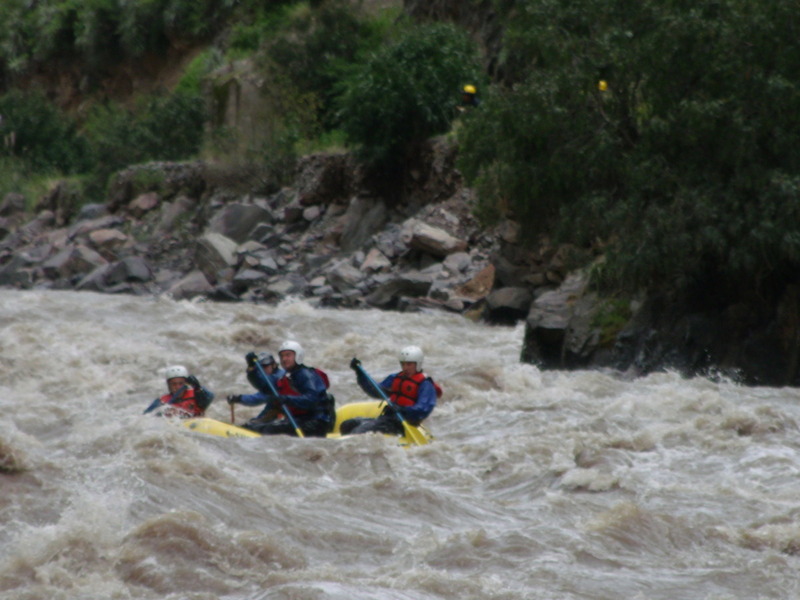 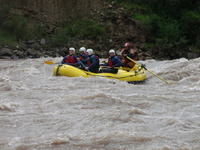 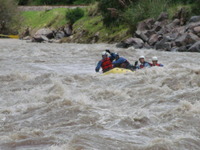 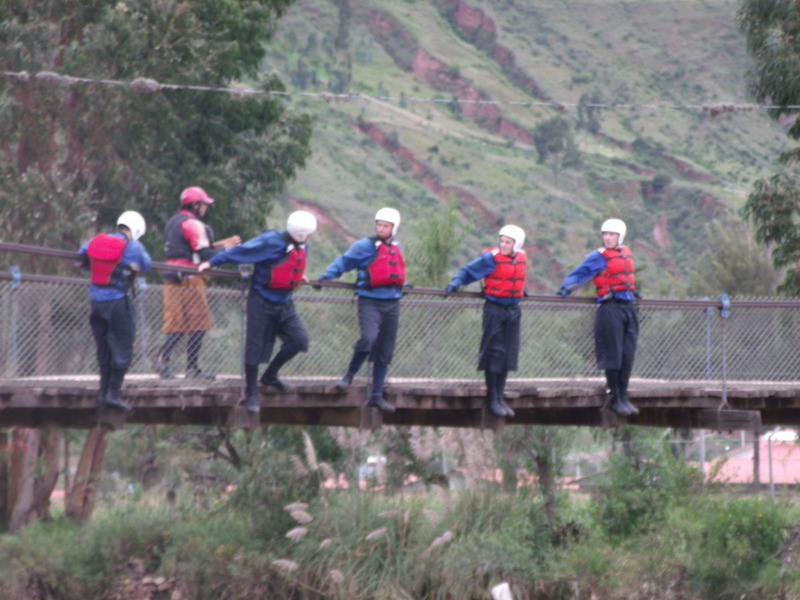 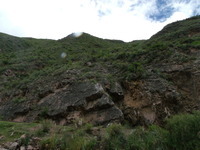 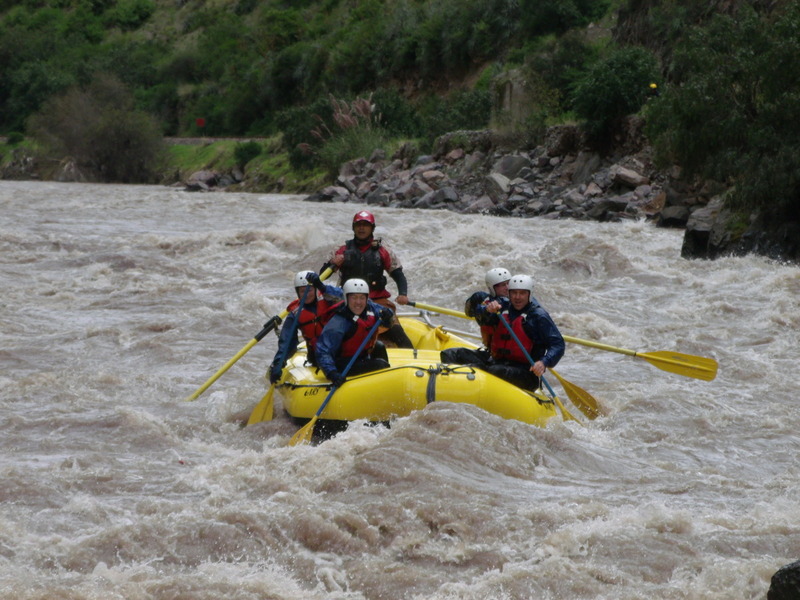 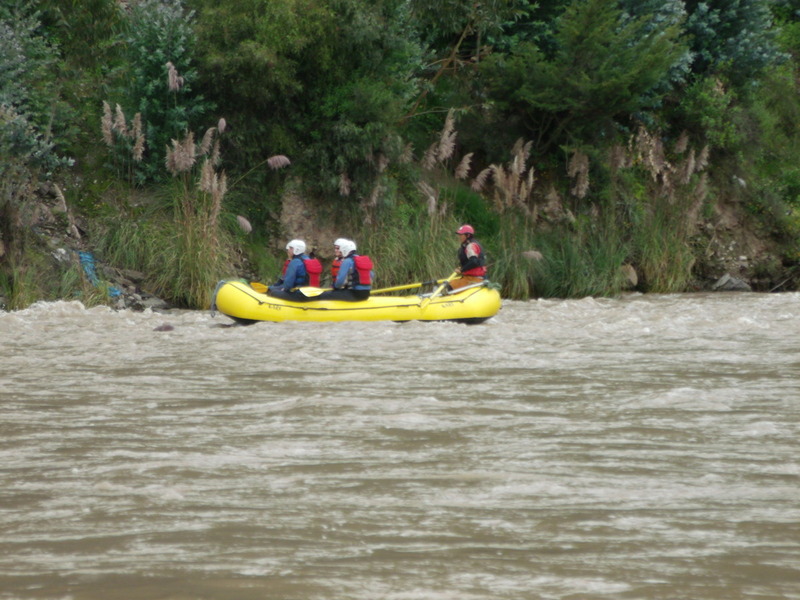 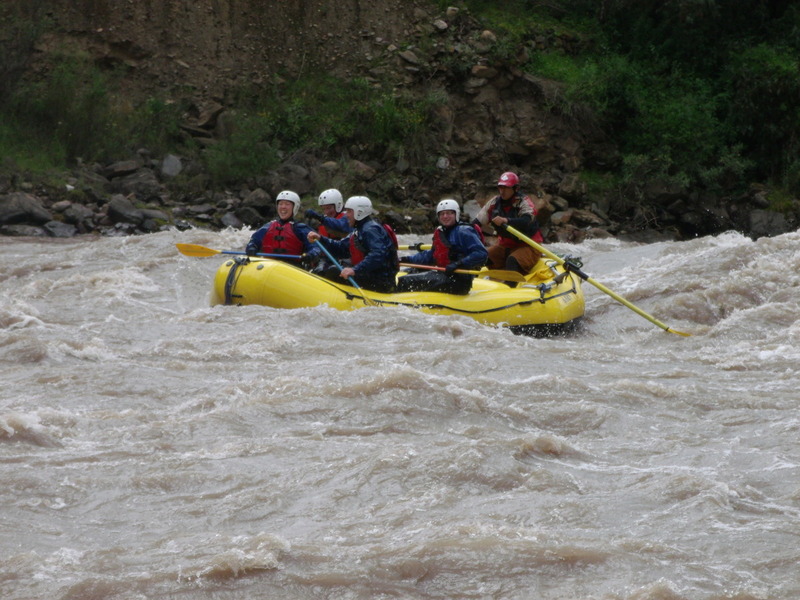 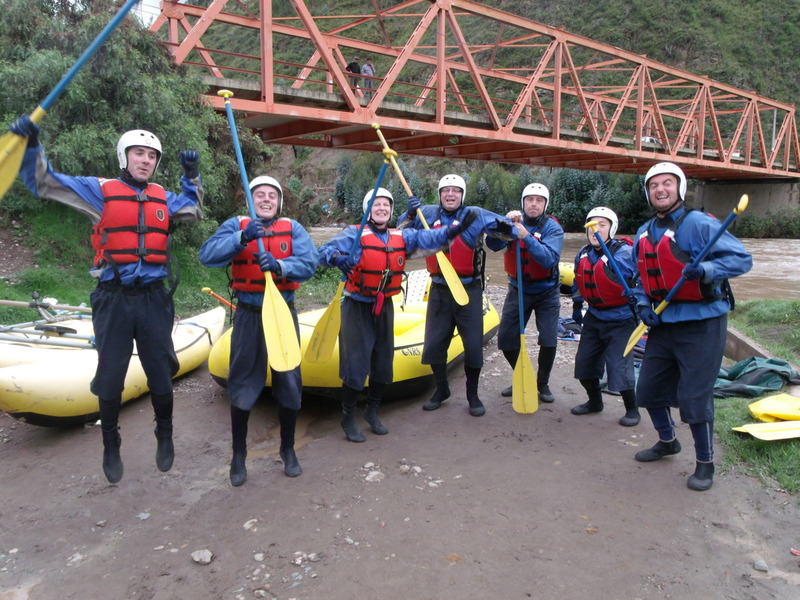 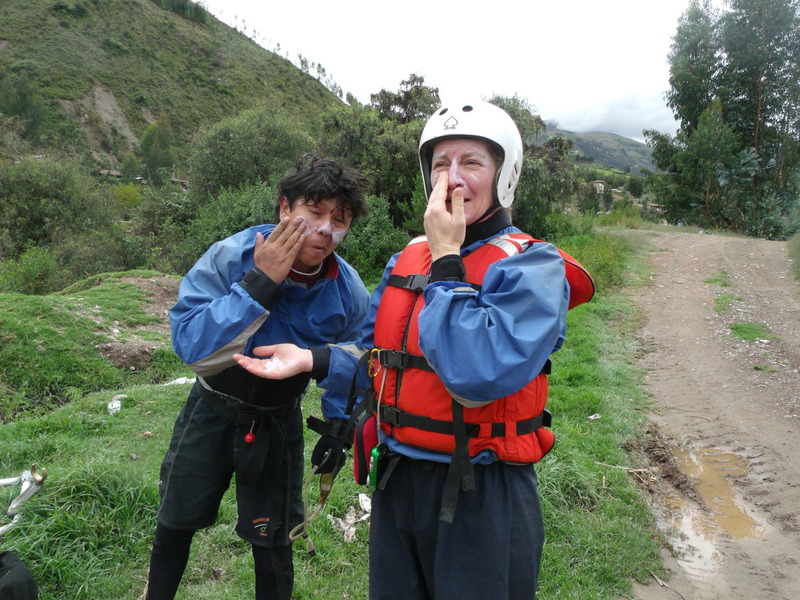 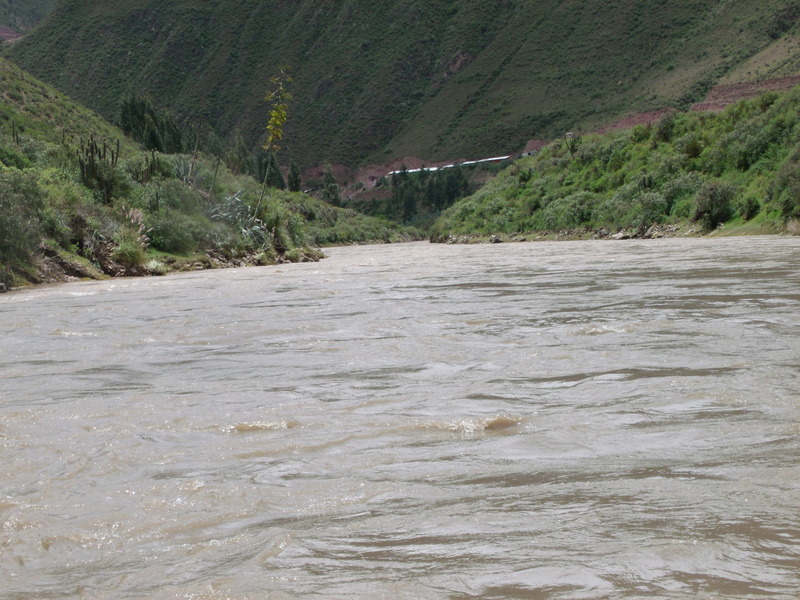 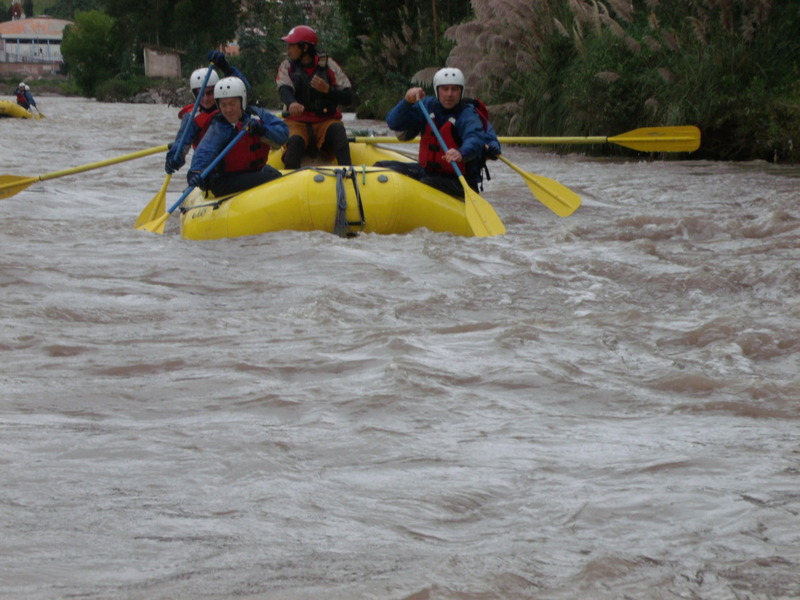 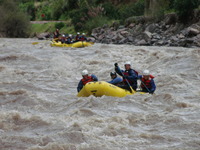 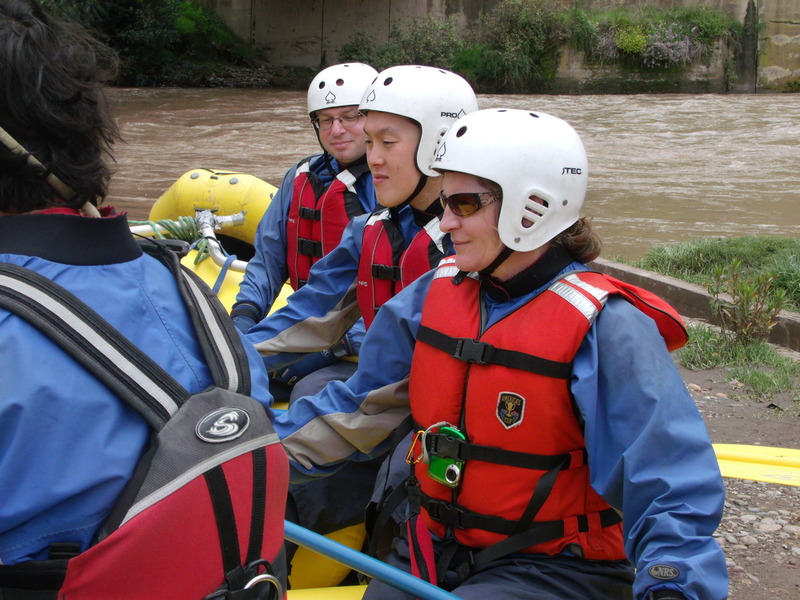 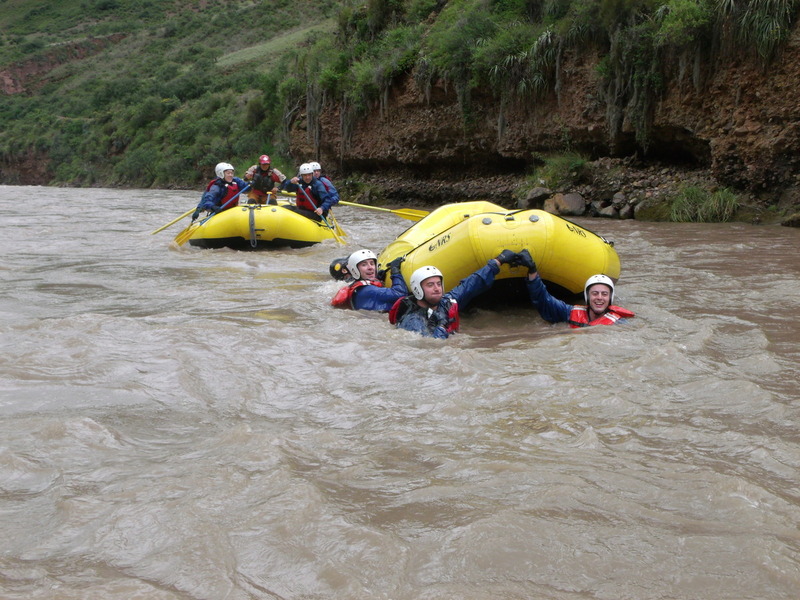 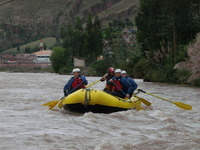 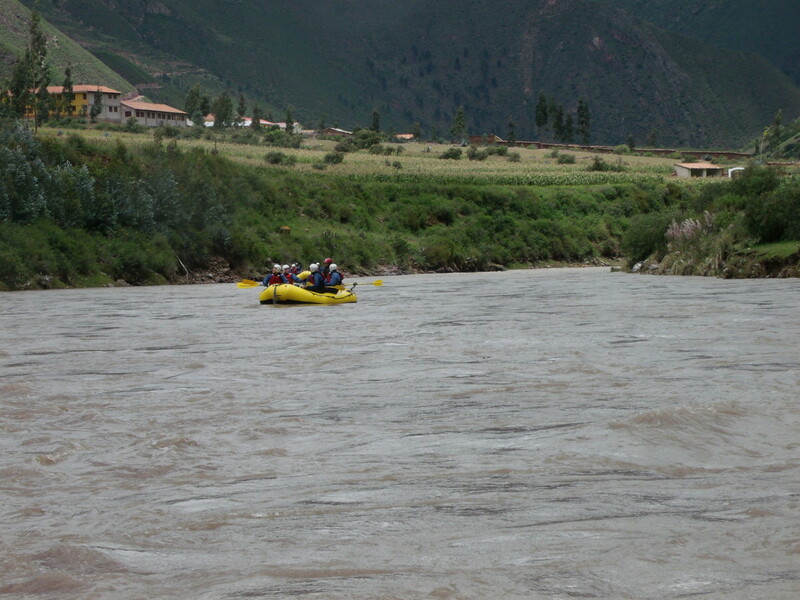 I suspect it was the altitude, but I agreed to spend the second day in Cusco going rafting on the Urubamba River or, as I like to call it, the headwaters of the Amazon. That is where it ends up after all. 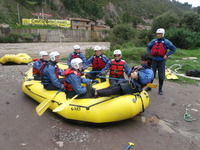 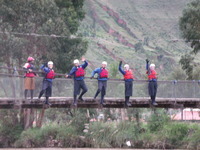 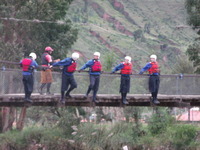 We went with Activities Peru. They picked us up, provided all the gear, gave us lunch and then dropped us back at the hotel. 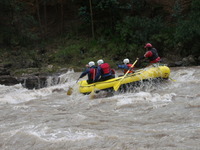 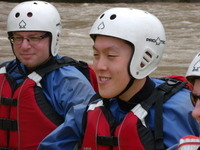 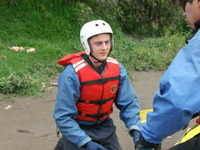 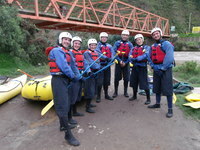 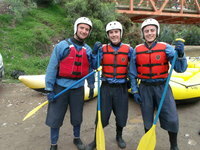 I liked them, its run by two brothers who were very good at makign you feel calm and confident on the water. 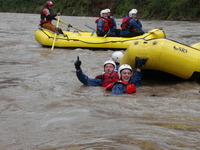 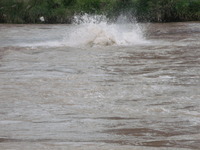 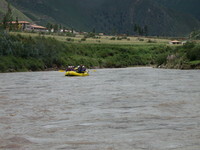 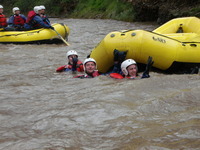 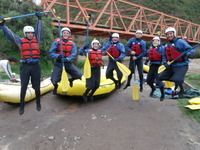 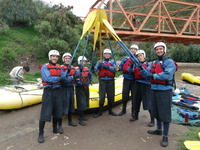 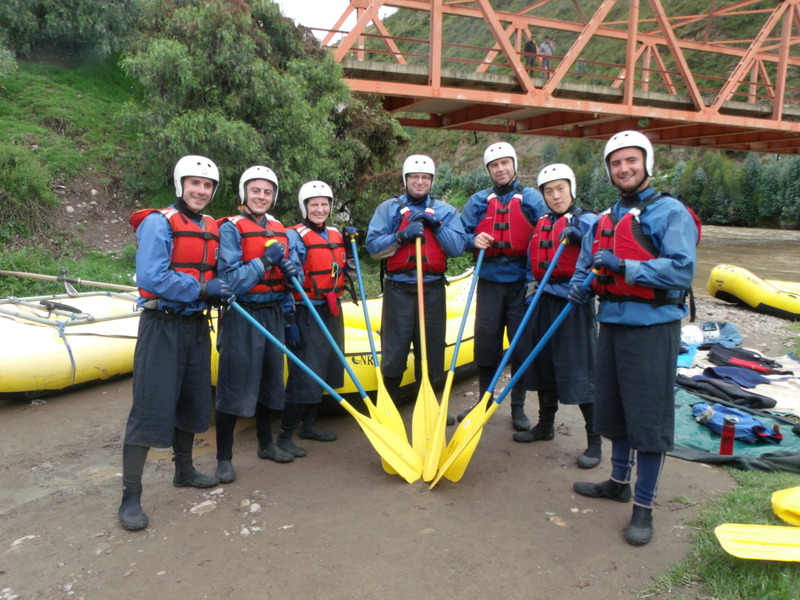 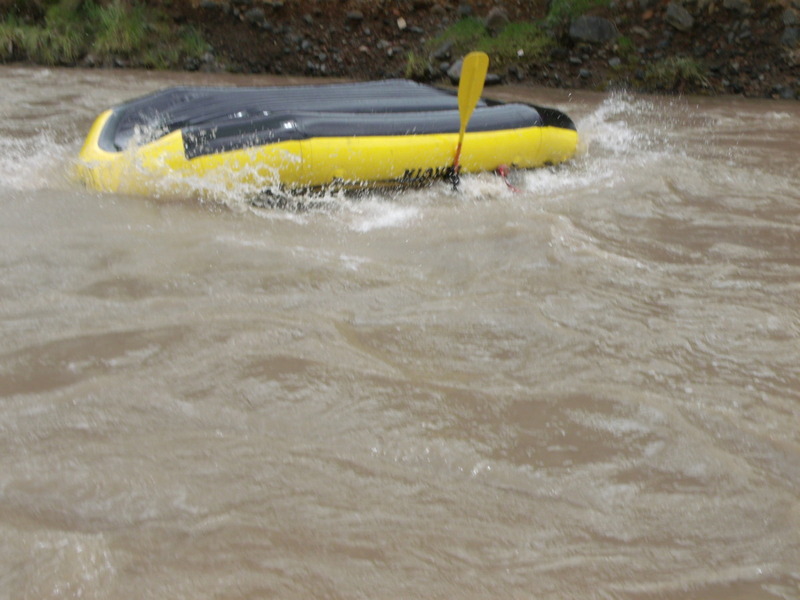 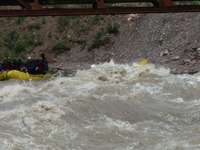 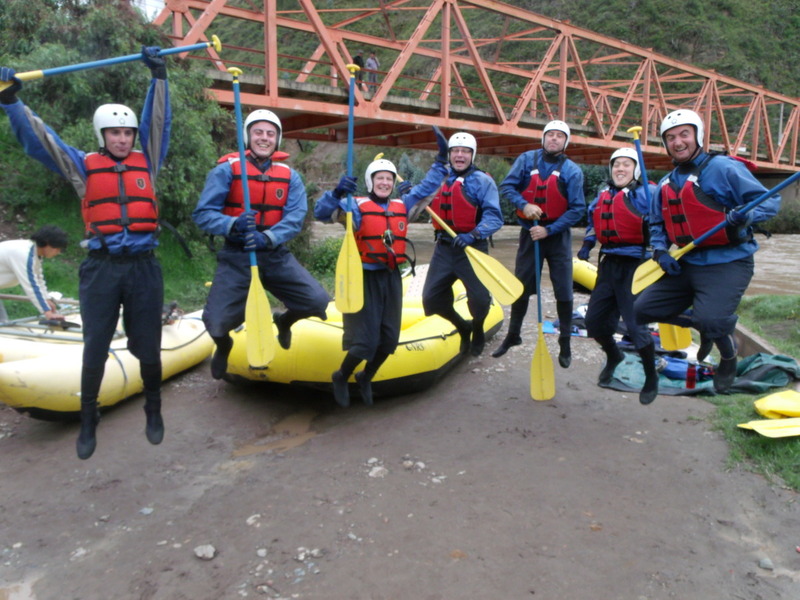 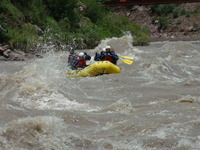 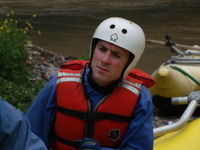 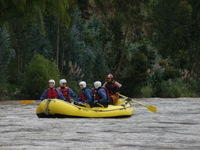 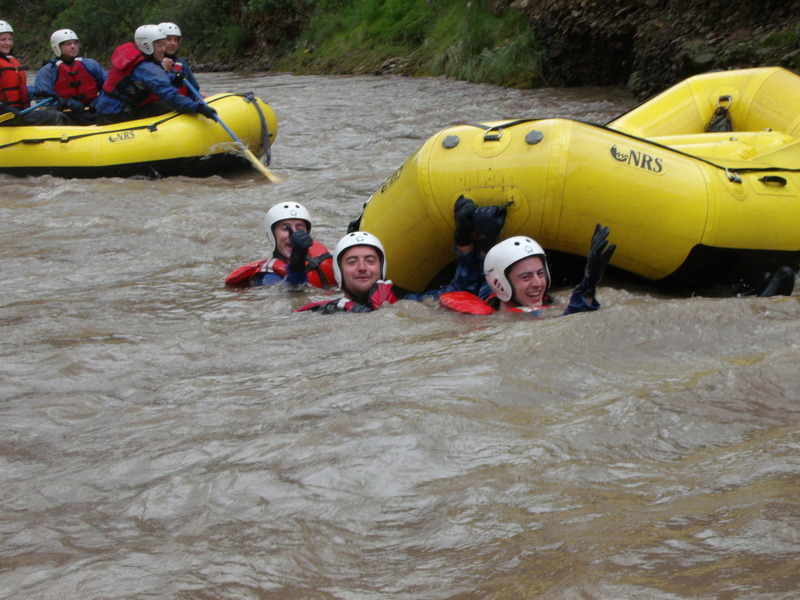 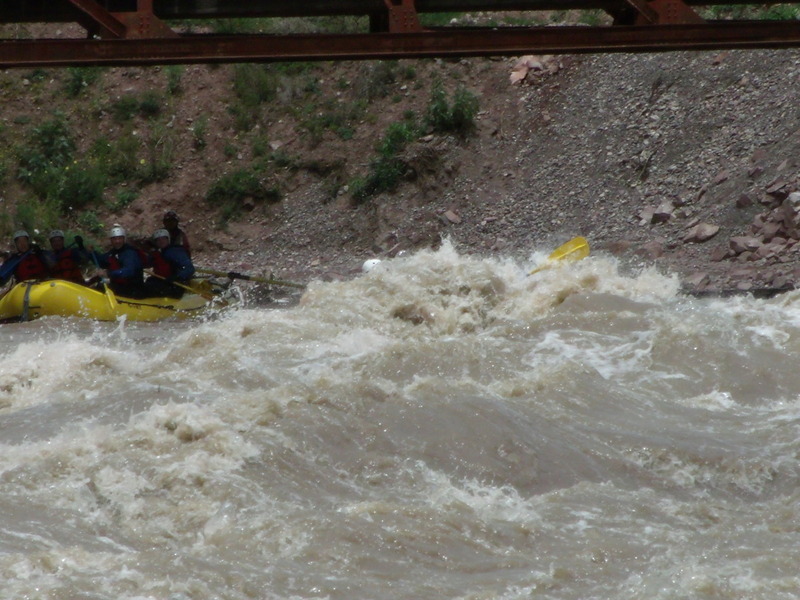 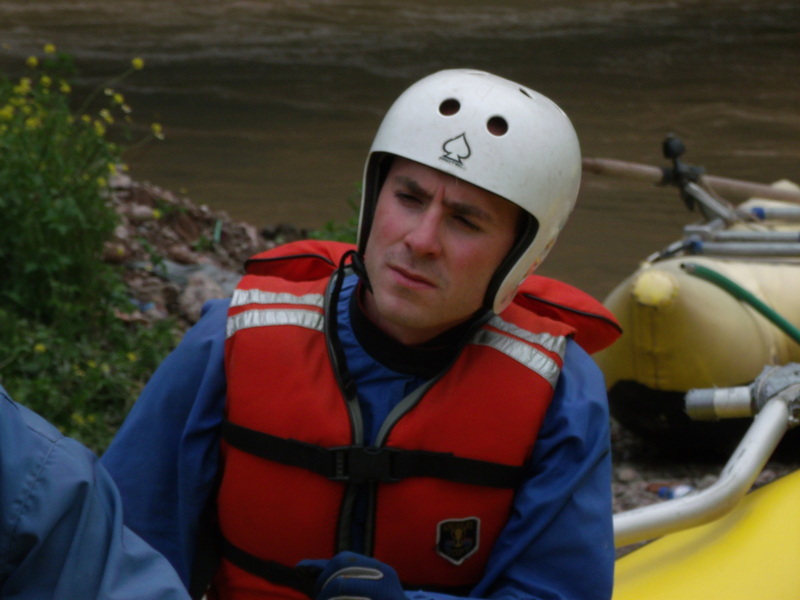 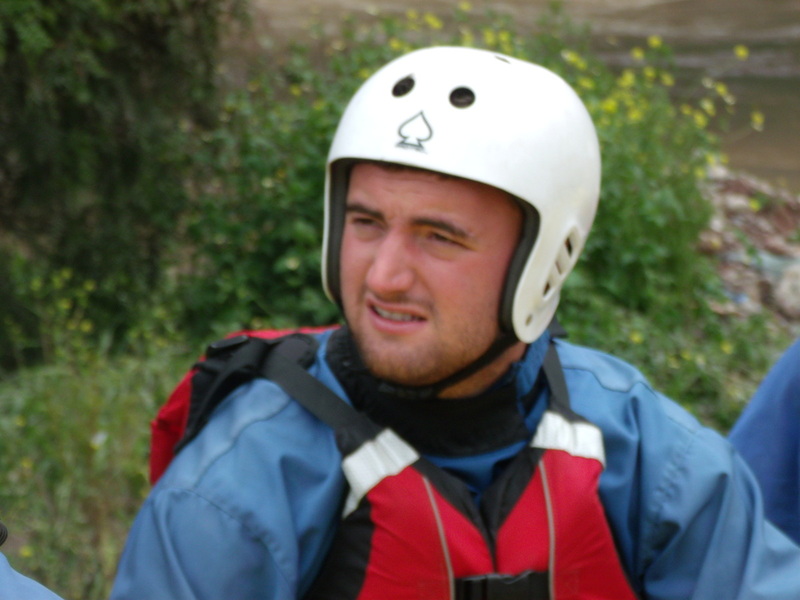 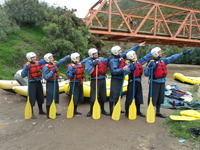 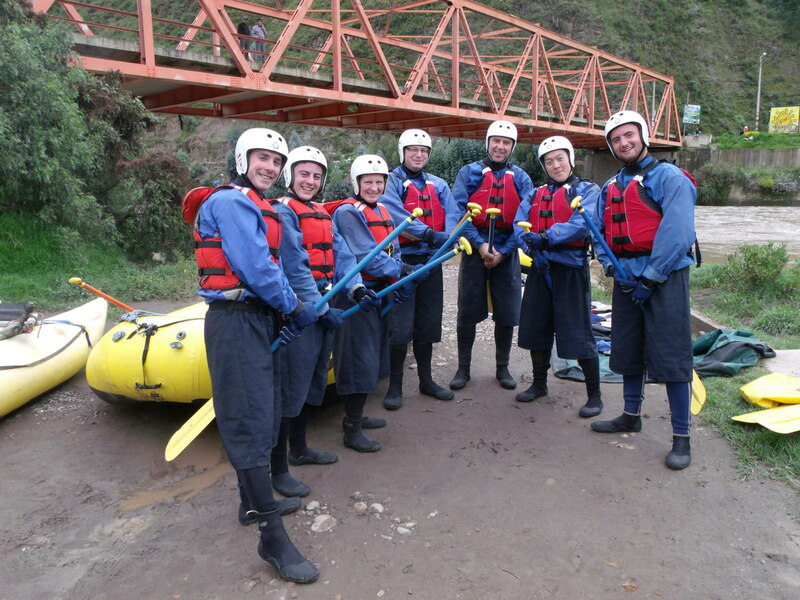 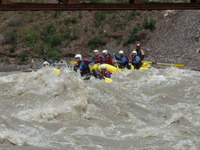 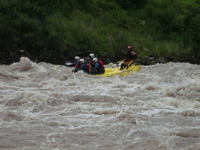 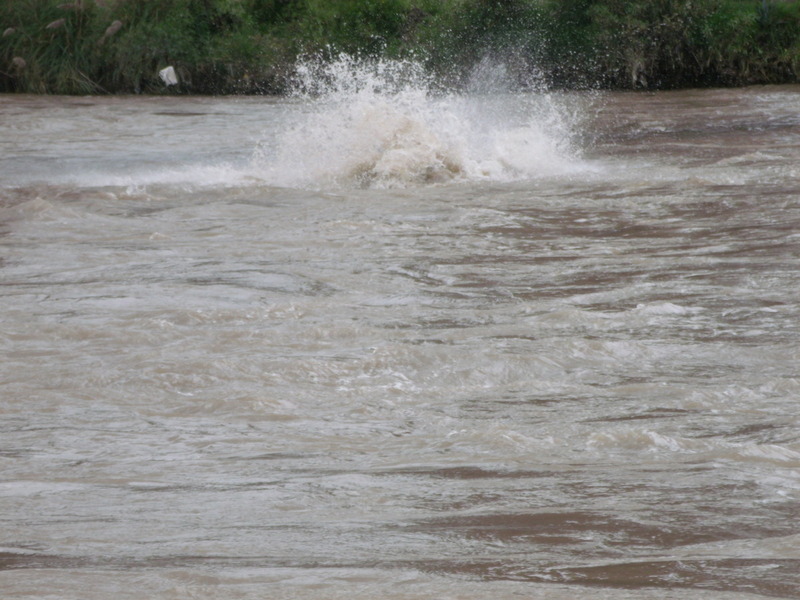 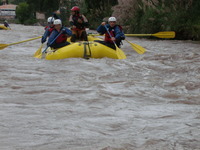 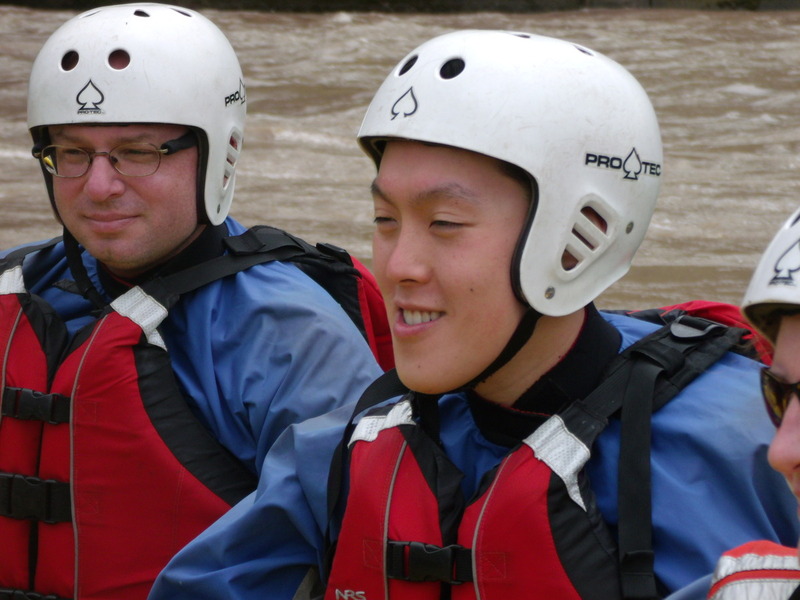 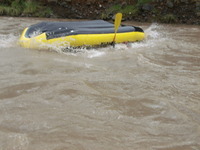 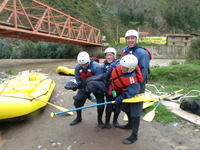 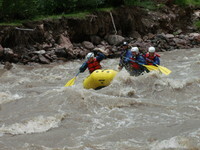 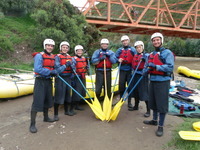 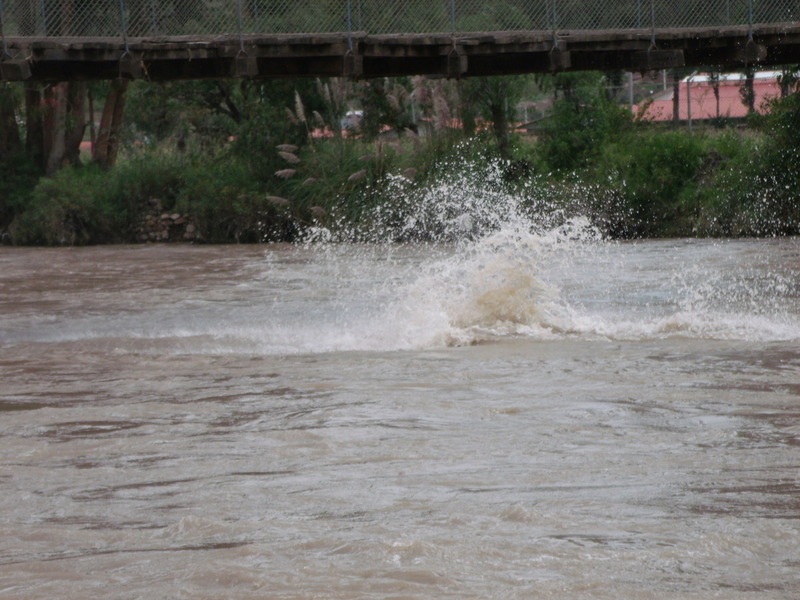 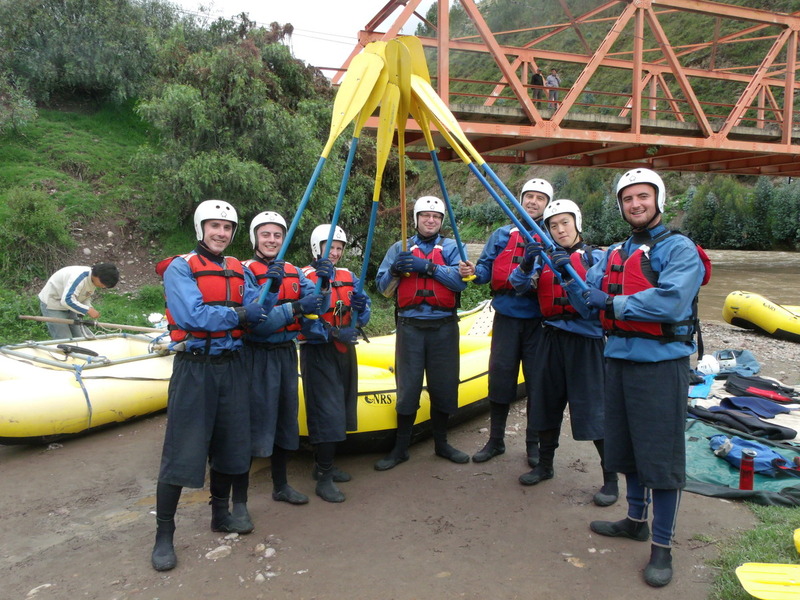 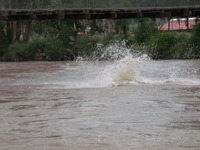 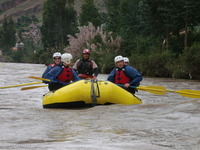 It was not quite the right time of the year to go rafting, which is why the river was so muddy. 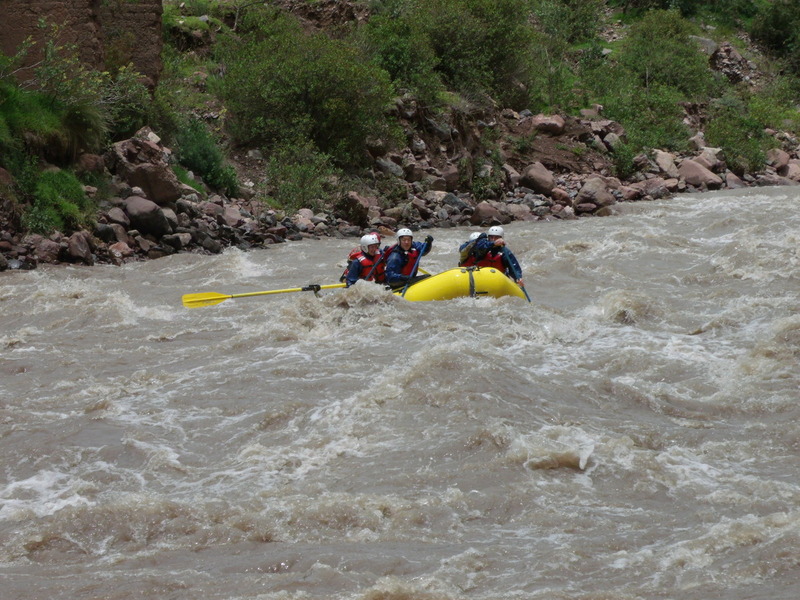 Apparently the normal stretch they like to raft was too dangerous, so we did this stretch which was pretty simple, but with a few challenging sections. 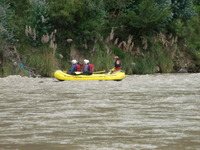 Below are the photos they took of the expedition. 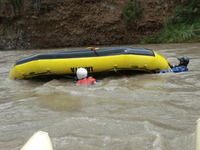 The photos with the upturned boat? The three mad Irishmen who were in it asked to get flipped. 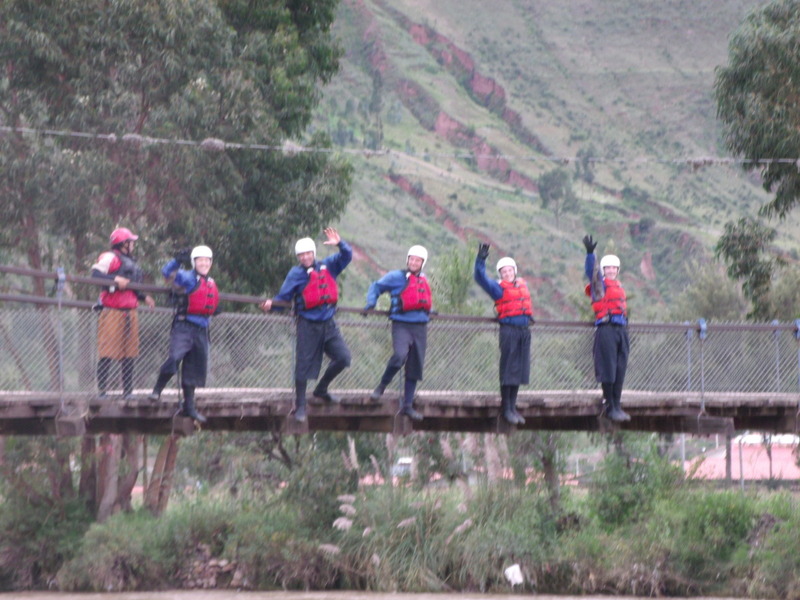 Photos © Activities Peru, 2012 Not to be used without permission, for profit, etc. 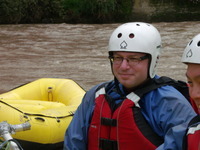 Last modified: May 27 2012 08:46:06.